The 1973 Central Council Meeting, held in Oxford during the Spring Bank Holiday weekend (May 25-29), will probably not be remembered for any outstanding excitement or peculiarity, but the excellent organisation, the obvious goodwill and friendship of those attending, and the warmth of the welcome extended by the civic body, the religious leaders and the officers and members of the Oxford Society and Oxford Diocesan Guild will always be spoken of with pleasure and esteem. The headquarters, the Randolph Hotel, seemed over the weekend always to be engulfing or disgorging little groups of bell-ringers. The hustle and bustle associated with many towns and cities are of a somewhat different nature in this place of advanced learning, and the continual movement of the mainly student population, punctuated by the groups of sightseers, create a scene that is ever changing yet always the same. Despite the dangers to life and limb caused by the never-ceasing flow of cars and motor coaches, the ringing visitors survived, and enjoyed the pleasant atmosphere always pervading in Oxford. The first large assembly took place in the hotel ballroom on Sunday afternoon, when the advertised Open Meeting on “Redundant Bells” was held. Upwards of 250 ringers attended and Mr. Philip Gray, from the chair, welcomed the gathering, outlined the purpose for which they all had assembled and introduced Mr. Dennis Beresford who was to speak on this very complicated but vitally important subject. Miss Jane Foster had assisted Mr. Beresford in the preparation of his paper. From the outset it was obvious that all present were intensely interested, and the many and varied questions asked and opinions expressed at the end certainly proved that the meeting had been worth while. Mr. George W. Pipe, acting as scribe, took notes and suggestions which were to formulate into a resolution to be put for implementation before the Central Council in session on the Tuesday. The members had not assembled until 8 p.m. and it was almost two hours afterwards that they dispersed, although later, considerable discussion continued among those who were remaining in the hotel for the night. There was another open meeting in the same room at 3 p.m. on Monday, the subject on this occasion being “Recruitment and Training”. Mr. Edwin A. Barnett who chaired the meeting spoke of the complexity of the subject and of the wide scope which any gathering such as the one assembled that afternoon had in discussing so diverse a problem. He introduced Dr. John C. Baldwin who had prepared a paper and who presented it in an interesting and informative manner to a company of 150 or so. As at the previous open meeting there was considerable debate and discussion, and many experiences were told and useful suggestions made for the consumption of other members of the audience. As is customary at the assembly of the Central Council, the members and visitors attend a special service in one of the churches, and whilst it is usually that of Holy Communion, on this occasion it was Sung Evensong in St. Giles’ Parish Church at 6 p.m. on Monday. The Rev. Alan Pyburn (vicar) conducted the service. The Lord Bishop of Oxford, the Bishop of Dorchester and Mr. Frederick Sharpe (Lay Reader) were also present, the latter carrying the Oxford Diocesan Guild’s beautifully-embroidered banner. There was no address and the singing and chanting was, as is to be expected from a congregation of bellringers, in extremely “good voice”. From the large number who attended this service it appeared that the variation in time and type of service chosen was popular. There followed at 7.30 p.m. the official reception held in the Clarendon Press Institute, and here culminated the social side of the weekend. Members were able to circulate and this they certainly did. Sherry was handed round and a bar was also available, both of which helped to loosen the tongues - if they needed such stimulant! Later, when Treble Bob Sixteen on handbells had just got well under way, to the obvious enjoyment of those able to get near enough, Mr. Harold Rogers, the Central Council’s (un)official “town crier ”, called the assembly to order to receive the city and church dignitaries, the officers of the host associations and special guests. Mr. Philip Walker (secretary, Oxford Society) acted as Master of Ceremonies and introduced the Lord Mayor, who welcomed the Central Council to Oxford and spoke of the pleasure it gave him and the Lady Mayoress to be present that evening. He wished the Conference every success and hoped that, however brief, all would enjoy their stay in Oxford. The president of the Oxford Society, Mr. Neil Allnatt, gave details of his Society’s long history and of the pleasure it gave him to welcome the Council on behalf of his members. Speaking for the Oxford Diocesan Guild, Canon C. Elliot Wigg in his greetings to all present said it would be the last time he would act in the capacity as Master for he would complete his term of office at the next general meeting of the Guild. He was delighted to have been able to attend and to welcome the Council, who had not been to Oxford since 1893. Canon Wigg said it would give him pleasure at all times to welcome ringers to his own parish of Hook Norton. The Bishop of Oxford, expressing his pleasure at being present among the bell-ringers, told of his previous experiences when visiting towers, and some of these experiences considerably amused his audience. He thanked all bellringers, but particularly those in his own Diocese, for their service for the church and wished them God’s blessing at all times. The president of the Central Council, Mr. John Freeman, spoke appreciatively of the kindly words expressed by the previous speakers and thanked those responsible for the arrangements that evening and for the warmth of the welcome extended to the Council. A bouquet was presented to the Lady Mayoress by Miss Daphne Pollard, and the official party then circulated individually among the ringers and their friends. Refreshments on a very liberal scale were served, and during the evening Mr. Frederick Sharpe’s handbell ringers entertained the company with several beautifully-executed and delightful tunes, and these were very well received. The first arrivals on Tuesday at the City Hall, where the business meeting was held, started to assemble soon after 9 a.m. and by 9.45 most of the members were already seated. The president called all to order precisely at 10 a.m. and invited the Dean of Gloucester (Very Rev. A. G. G. Thurlow) to open with prayer. Thence onwards the very full agenda was dealt with competently by the presiding officers: Mr. John Freeman (President), Mr. Edwin A. Barnett (vice-president) and Mr. Cyril A. Wratten (hon. secretary and treasurer). Of the 15 items on the agenda, 12 were despatched by the lunch break which came at 12.45, and an hour later the session was resumed and was completed by 5 p.m. One of the longest items in the afternoon was the reports of the various committees (11 in all), and these having been circulated led to many pertinent questions all being answered satisfactorily. At the close of the business the president expressed the Council’s thanks to the officers and members of the sponsoring associations and to all others who had taken part in the arrangements or who had helped in any way. He named each person, and concluded with a special expression of appreciation to Mr. Wratten. Mr. Philip Corby voiced the thanks of all present to Mr. Freeman for the expeditious and capable manner in which he had conducted the proceedings, and Mrs. Olive Barnett spoke appreciatively of the services rendered by Miss Doris Colgate in taking notes for the report. The volume of the acclamation in each case was indicative of the sincere feelings of the members. A very comprehensive programme of ringing was arranged over the weekend. On Saturday, May 26, three routes were arranged: (1) Newport Pagnell to Yarnton (14 towers), (2) Clanfield to North Hinksey (14 towers) and (3) Aldermaston to Radley (16 towers). Special ringing for Council members was arranged at eight towers (Colleges, etc.) on Sunday and Service ringing details of 13 churches were circulated. On Monday, in addition to the coach tour three routes were laid on: (1) Cholsey to Iffley (13 towers), (2) Cassington to Wolvercote (9 towers) and (3) West Hanney to Stanford-in-the-Vale (9 towers). A ringing tour is one of the attractions arranged during the week-end of the Central Council meeting and this year, because of the open meeting on Monday afternoon, it was curtailed. Leaving the Randolph at 8.15 a.m. the coach called at Great Tew (8), Hook Norton (8) and Bloxham (8) before lunch was taken at Winslow Restaurant, Banbury. Adderbury (8) was the only tower after the meal and the coach was back in Oxford by 2.45 p.m.
During a discussion on redundant bells and their use and deployment into other church towers, a comment made was to the effect that it would be of great service to the Exercise if one or three bells could be donated to All Saints’, Basingstoke, to eliminate years of discussion on nine-bell peals there. The acoustics of the hall where the business meeting was held were not particularly good, it was claimed by one member. He suggested that a “wandering microphone” be used next year as several speakers who were shy (or just lazy) did not go to the platform to use the microphone there and consequently could not be heard. The president said no doubt the organisers of next year’s Council arrangements would bear the suggestion in mind. The attempt to ring Treble Bob Sixteen during the reception and which was interrupted by the arrival of the civic dignitaries, was made by Mrs. P. J. Staniforth 1-2, P. J. Staniforth 3-4, J. R. Mayne 5-6, F. C. Price 7-8, D. F. Moore 9-10, R. B. Smith 11-12, N. J. Diserens 13-14, R. H. Newton 15-16. Two New Life Members for Central Council. The Central Council at their meeting at Oxford bestowed life membership on two members who had rendered considerable service to the Exercise as a whole and the Council in particular. The first, proposed by Mr. B. M. Barker and seconded by Mr. A. R. Agg, was Mr. Walter Ayre of Hertford County Association. Mr. Ayre has been a member since 1926 and from 1945-72 has been associated with and convener of the Peals Analysis Committee. Composer, conductor, peal ringer, teacher but above all a Sunday service ringer was the description given for Mr. Ayre, who was elected unanimously. Mr. Ayre, who was deeply moved, and unable to express adequately his thanks, tells us that he is very grateful for the honour bestowed on him, which he feels is a tribute to the Hertford County Association. Mr. Wilfrid Wilson, who was proposed by Mr. E. A. Barnett and seconded by Mrs. Jill Staniforth, was first a member of the Central Council in 1936 and served until 1948 for the Middlesex County Association. In 1952 he was elected as a member for the London County Association and was still representing that Association. Peal ringer, instructor, association officer and author, Mr. Wilson was elected a member of The Ringing World Committee in 1959 and was the present chairman of that committee. Several other of his activities and work for bellringing were given and Mrs. Staniforth said few people knew how much time he spent on The Ringing World. Mr. Wilson was also unanimously elected and both life members were loudly applauded. Returning thanks, Mr. Wilson said he was lost for words to express his appreciation but was deeply conscious of the honour conferred on him. There can be little doubt that the two Open Meetings at Oxford, organised in conjunction with the Central Council meeting, over the Spring Bank Holiday were an outstanding success. The first, on Redundant Bells, was very well attended, over 250 people being present. The paper on the subject had been well prepared and Mr. Dennis Beresford, with the help of several illustrated posters, exhibited a great deal of knowledge and enlightened his hearers with the up-to-date position. The questions asked and suggestions made were many and varied, and at the Council’s business meeting a committee was set up which will keep the subject under review at all times and act as and when possible. The second open meeting discussed a matter which has been with us for very many years and will continue to be for all time. Recruitment and Training is so wide and diverse a subject that it is only possible to advise and suggest ways and means and try to help any who seek for guidance. The officers of guilds and the branches can do much to ensure that the incumbent of a parish gets practical assistance when asked, but we feel that it is not advisable to interfere too much in local affairs. Dr. Baldwin illustrated his talk with several extremely helpful suggestions and spoke of the difficulties experienced by some tower captains. Again many ideas were put forward to help those with problems and there was insufficient time to hear them all. The 150 or so who attended on Monday afternoon certainly felt that the time was well spent. During the Council meeting it was stated that in the case of Redundant Bells, much was repeated during the business that had been heard at the open gathering. This, we are sure, did not matter at all. The more ringers that get together to discuss such important and relevant matters the better for the Exercise. Open meetings are now “a must”, and provided suitable subjects and experienced speakers are chosen, support will be forthcoming and all will benefit. A host of helpers gave their services during the weekend, too numerous to mention in detail. Certainly they all worked very well and their efforts were their own reward for the Council members were well looked after. The backroom “boys and girls” who were much in evidence flitting from place to place. serving sherry and refreshments and doing the washing-up and drying included Miss D. Pollard. Mr. and Mrs. A. J. Rance, Miss S. Rance, Mr. and Mrs. B. C. Castle, Mr. and Mrs. D. Cornwall and Mr. K. Davenport. 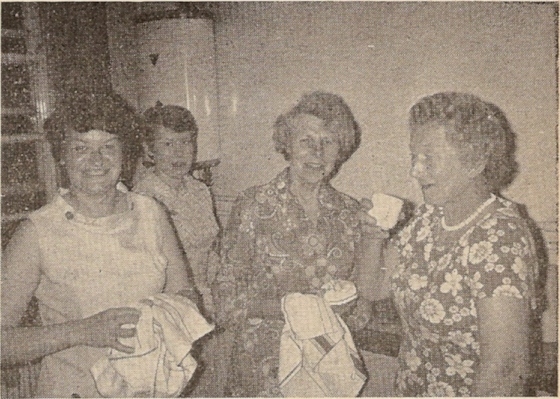 Above: Joyce Cornwall, Daphne Pollard, Violet Castle and Joan Rance. This paper was prepared by Dr. J. C. Baldwin and presented to the Open Meeting of the Central Council at Oxford on Monday, May 28. When Wilf Moreton asked me to open the discussion today on the Recruitment and Training of ringers, he gave me no guidelines or even objectives. I was left to define my own and it is my intention to attempt to review the subjects in the hope that the ensuing discussion might be given some structure. I therefore regard my role, this afternoon, using a chemical analogy, to be that of a “catalyst” rather than being one of the “reacting substances”. Those of you who had hoped for mighty pronouncements or solutions to the problems must look elsewhere amongst the present company. I propose to deal with each of the topics of recruitment and training by considering them under the headings WHAT? (what do we understand by the topic), WHY? (why do it), WHO? (who should we do it to, and who should do it), HOW? (can it be done?) WHEN? and WHERE? (is it done). Firstly, then, let us briefly examine recruitment. There can be little discussion that by this we mean the task of introducing non-ringers, or possibly re-introducing lapsed ringers, to the Exercise. Our reasons for wanting to do this are less easy to define, however. There is, of course, the mere problem of keeping the Exercise from extinction due to losses from death and from the natural wastage that is experienced in all pastimes. Fortunately ringing is sufficiently difficult and different for it not to be subject to fashion in the way that some other pastimes are. Other forces are at work however. Modern living seems to have brought in its wake two effects which have taken their toll on the number of ringers who remain active. Higher education often entails the sudden removal of valuable members of a band from their home (and stable) environment and deposits them into unknown surroundings with all the excitement of trying things which were not open to them before. Also we have a more mobile population and this again particularly comprises a higher proportion of likely leaders and instructors. Each of these effects appears to have been accompanied by a tendency of the people concerned to discontinue their ringing activities. It is interesting to speculate the number of people in this country who have been lost to ringing in this and other ways. How often one hears the comment that “there are sufficient people in this town to ring the bells twice over, but who never ring now”. I think that there can be little doubt that we do need to recruit, whatever may be the predominant reasons for why we should. Who then, should be recruited? Might I suggest that this afternoon’s discussion concern itself in some part with this problem. Let me make it perfectly clear that I am offering no one complete answer. I would merely ask you to reflect on the number of man-hours of personal tuition given by the instructor to train a ringer to become a useful member of a band. Surely if we could develop some criteria - proven criteria - by which we could decide whether our recruit is likely to become a useful ringer (and I will not define what I mean by this) or not (with say an 80% probability in either case), then we could put our scant resources to greater effect. (I have heard the view expressed that older people should be recruited.) Closely allied to this is the question of who should do the recruiting. Do we stand idly by (ringing our Cambridge) and wait for the recruits to come to us; should a tower or Association member with appropriate skills (possibly applying the criteria developed from our discussion for likely successes) be appointed; or do we (implicitly) leave it to the incumbent whose knowledge of the implications is likely to lead to an even greater wastage rate than at present? When looking at how recruiting is achieved, it is obvious that much attention has been given to this problem. Traditionally, Church magazines, pulpit appeals, Ringers’ Sundays, and word-of-mouth recruiting have been employed. More recently, articles in company house journals, popular books (such as Camp’s Discovering Bells and Bellringing), advertising, the Expo belfry, and the recruiting done by the University Societies have all been effective to some extent or other. I would venture to suggest that this number and variety of methods is sufficient and that our discussion might be more fruitfully directed at maximising their effectiveness rather than extending their diversity. One’s immediate reaction to the question of when to recruit is “all the time” but this is not necessarily true. Can we truthfully say that we have never known towers so inundated with learners that even one more might prove to overtax those scant resources. (Llandaff is in just such a position and last week we had to encourage would-be recruits to come back later in the year when we could more easily cope with them.) Conversely, how often do we see bands so concerned with furthering their own expertise that all thoughts of tomorrow’s band are pushed out of their minds. Neither extreme is satisfactory but both situations exist and should be recognised as such. Dr. Baldwin at the rostrum. Let us now move on to training, i.e. what we do with our recruit, once we’ve got him, remembering that training is an ongoing process and likely to continue for the rest of the ringer’s life. That statement should provoke you to wonder what I mean, then, by training. I would like it to be considered in the widest sense, rather than merely achievement of competence in change-ringing. By the latter one thinks of topics such as initial bell-handling, method structure, standard methods, conducting, composition, handbells, belfry maintenance. These are the basics but it is my belief that there is a need for training in other related subjects. Examples are the training of tutors (the C.C. Education Committee has recognised this with the recent publication of the two-part Tutor’s Handbook), how to manage a group of ringers (surely that’s what we want our Tower Captain to do, and if management training is effective in the business world, it is likely to be equally so in ringing). The Peter Principle applies equally in ringing and we often see a technically competent person elevated to a state of ineffectiveness as Tower Captain in our belfries. I would like to see the antiquary side of ringing dealt with: texts such as “what to look for 30 feet above the ringing chamber” or a complete history of British Bellfounders are both sorely needed. Again we need to have people trained to act as Guild or Association officials. A final example of wider based training that I believe is needed, concerns the engineering aspect of ringing. A notable lack of information exists here with possibly two exceptions: the section in “Preservation and Repairs of Bells, etc.” and the paper by McClenahan, Morris, and Threlfall. I hope these examples clarify my contention that training continues well beyond the “technical competence” level. It is just these - and other - subjects that for me have transformed ringing from a mere pastime into a way of life. Perhaps the filling of some of these gaps might lead to a lower wastage rate in respect of our competent ringers losing interest and becoming non-active. Why then should we train? The two primary reasons surely are that the Church wants its bells rung (and therefore we should ring them well and this implies the existence of absolute standards) and also for the maintenance, advancement, and expansion of our art. We have already considered who in the ringing fraternity should be trained. We should not overlook however, neither the special role of the clergy (who latterly seem to be coming more rather than less ignorant of ringers and their habits) nor the public, who are even more ignorant of our ways and are becoming concerned with environmental matters, including sound pollution. Perhaps “awareness” is a more appropriate term than is “training” for non-ringers. As to who should train our recruits and ringers I would ask a simple question: “must it always be the same people as those who undertake the other ringing responsibilities?” Our ringing masters all too frequently have to act as steeple keeper, P.C.C. representative, meeter of visiting bands, tutor, in addition to their primary job of organising the weekly ringing. The methods by which we have trained ringers are many and varied. All too frequently it only comprises the casual but personal tuition during the 80-minute practice held once a week and even then it usually lacks structure. Is it small wonder that the wastage rate is high. Fortunately we are much more aware now than 20 years ago of the other ways to train a ringer. The following is a fairly comprehensive list: literature (even bookstalls have been appearing at Association meetings), Ringing World articles, technical quizzes (missing lately from the R.W. ), quarter and possibly peal ringing, striking competitions (for demonstrating achievable standards), audio-visual means (tapes, discs, films, filmstrips), one-day courses and residential courses. And so we ask when and where should we train our ringer. By its very name, the practice night should be an opportunity to attempt to put our ringing training into effect. Sometimes it reduces to a performance night when we ring the same old things, on the same old bell resulting in the same old bad striking. Too often we leave our learner to himself: “take the ‘Beginners Handbook’ home and we’ll put you through plain hunting next week”. That is not training. I would contend that most bands of ringers require some regular time for training and if practice night is the only mutually convenient evening, then a certain proportion of it should be clearly given over to training. Regularity is the keynote and, once established as a feature of the evening, the topic can be adjusted to the needs of the band. There are other opportunities for training. Regular Branch or Association practices, perhaps on a monthly basis, specially convened sessions (such as courses) and even spontaneous sessions (such as a pub conversation) all have their place. I would argue that an increase in the amount of time spent in training on these occasions other than the practice itself should be an objective of all go-ahead groups of ringers. Especially the pub conversations! We have at some length discussed each of our topics under the headings of WHAT WHY WHO HOW WHEN WHERE. It may well be helpful in the ensuing discussion for speakers to be absolutely clear both to themselves and to the rest of us as to where their contribution fits in to this treatment. Finally I would ask you to consider how we measure how successful our training has been. What are the quantifiable criteria? Perhaps the question of how to monitor the health of ringing might also be fruitfully discussed this afternoon. Life members: J. Freeman, E. A. Barnett, F. Sharpe, F. W. Perrens, Dean Thurlow, T. W. White. Honorary members: B. Austin, Mrs. O. D. Barnett, F. E. Collins, C. W. Denyer, G. R. Drew, Mrs. S. M. Drew, Canon K. W. H. Felstead, D. Hughes, S. J. Ivin, C. K. Lewis, J. R. Mayne, G. W. Pipe, R. B. Smith, R. F. B. Speed, W. H. Viggers, F. A. White, Mrs. M. A. Wratten. A.S. College Youths: W. T. Cook, J. S. Mason, R. B. Meadows, W. Williams. Australia & New Zealand Assn. : P. M. J. Gray. Bath & Wells Diocesan Assn. : G. W. Massey, E. Naylor, A. H. Reed, J. S. Walton. Bedfordshire Assn. : J. H. Edwards, A. E. Rushton, K. Fleming. Beverley & District Soc. : I. G. Campbell. Cambridge Univ. Guild: C. M. P. Johnson, B. D. Threlfall. Chester Diocesan Guild: A. J. Martin. Coventry Diocesan Guild: P. Border, G. W. Randall, H. M. Windsor. Cumberland & N. Westmorland Assn. : R. W. D. Wetenhall. Derby Diocesan Assn. : G. A. Halls, M. Phipps. Durham & Newcastle Assn. : K. Arthur, D. A. Bayles. E. Grinstead & District Guild: K. G. Game. Ely Diocesan Assn. : A. M. Barber, J. G. Gipson, E. H. Mastin. Gloucester & Bristol Diocesan Assn. : L. C. Edwards, A. R. Peake, J. R. Taylor, C. A. Wratten. Guildford Diocesan Guild: M. J. Church, T. Page, D. E. Parsons, P. G. Smart. Guild of Devonshire Ringers: Fr. P. Angold, J. M. Clarke, J. G. M. Scott. Hereford Diocesan Guild: T. Cooper, P. Hughes, R. G. Powell, A. T. Wingate. Hertford County Assn. : A. R. Agg, W. Ayre, B. M. Barker, G. Dodds. Irish Assn. : F. E. Dukes. Kent County Assn. : P. A. Corby, S. Jenner, M. H. D. O’Callaghan, I. H. Oram. Ladies’ Guild: Miss D. E. Colgate, Mrs. N. Summerhayes, Mrs. P. J. Staniforth. Lancashire Assn. : C. Crossthwaite, J. P. Partington, F. Reynolds. Leicester Diocesan Guild: R. H. Cook. J. M. Jelley, P. J. Staniforth, B. G. Warwick. Lincoln Diocesan Guild: G. E. Feirn, D. A. Frith, J. L. Millhouse, P. Reynolds. Llandaff & Monmouth Diocesan Assn. : Mrs. J. S. King, M. J. Pryor, T. M. Roderick. London County Assn. : H. W. Rogers, Mrs. O. L. Rogers, W. G. Wilson, D. Woodward. Middx. County Assn. & London Diocesan Guild: F. T. Blagrove, T. J. Lock, C. H. Rogers, B. C. Watson. N. Wales Assn. : E. V. Woodcock. Norwich Diocesan Assn. : H. W. Barrett, M. Cubitt, F. N. Golden, N. V. Harding. Oxford Diocesan Guild: J. C. Baldwin, W. Butler, N. J. Diserens, P. Walker. Oxford Univ. Society: J. E. Camp, D. J. Roaf. Peterborough Diocesan Guild: E. Billings, B. R. Care, C. J. Groome, J. M. Tyler. St. David’s Diocesan Guild: J. Prytherch. Salisbury Diocesan Guild: M. Hiller, E. J. Hitchins, B. J. Woodruffe. Sheffield & District Society: J. Seager. Society of Royal Cumberland Youths: J. S. Barnes, D. Beresford, W. H. Dobbie, D. E. Sibson. S. Derbyshire & N. Leics. Assn. : J. E. Collins. Southwell Diocesan Guild: W. L. Exton, S. Humphrey, R. B. Mills, Mrs. B. N. Reed. Stafford Archd. Society: C. F. W. Eyre, C. M. Smith. Suffolk Guild: H. W. Egglestone, C. W. Pipe, L. R. Pizzey. Sussex County Assn. : C. J. Champion, J. R. Norris. Swansea & Brecon Diocesan Guild: J. A. Hoare. Truro Diocesan Guild: W. C. Boucher, F. M. Bowers, A. J. Davidson, A. Locke. Universities Assn. : M. C. C. Melville. Univ. of Bristol Society: T. P. Edwards. Univ. of London Society: A. J. Frost. Univ. of Manchester Guild: M. C. W. Sherwood. Winchester & Portsmouth Diocesan Guild: A. V. Davis, G. K. Dodd, J. Hartless, R. R. Savory. Worcestershire & Districts Assn. : D. Beacham, A. C. Berry, W. B. Cartwright, M. D. Fellows. Yorkshire Assn. : R. Brown, N. Chaddock, W. F. Moreton. Four societies (the Devon Association, the East Derbyshire and North Notts. Association, the Midland Counties Guild, and the North Staffordshire Association) were not represented. The text of the paper presented to an Open Meeting by Mr. Dennis Beresford at the Randolph Hotel, Oxford, during the Spring Bank Holiday weekend when the Central Council were meeting. It should perhaps be pointed out at the beginning that this discussion will cover only churches in England; that is, the Provinces of Canterbury and York. We shall not be considering churches in Scotland, Wales, or Ireland, where the organisation and the problems are necessarily different. The problem of redundant churches - churches which are no longer needed for worship - had been one of concern for some time before the Archbishops’ Commission on Redundant Churches - the Bridges Commission - was appointed in 1957. Its Report, published in 1960, was followed by the Paul Report of 1964, on the Deployment and Payment of the Clergy; and these two Reports led to the passing of the Pastoral Measure, 1968, which has been described as probably the most far-reaching measure concerning the structure and organisation of the Church of England since the Reformation. The Bridges Report was based on information from the diocesan bishops on currently redundant churches, and those likely to become so over the period of the next 15 to 20 years. 370 churches were then redundant, and 420 were likely to become so. Twenty dioceses had not more than 10 redundant churches each: but on the other hand, five dioceses had 50 or more, and these included a higher than average proportion of churches of historical or architectural interest. The Pastoral Measure, based on the advice of the Bridges Commission, set up new procedures for dealing with redundant churches, replacing the rather unsatisfactory faculty procedure. The new procedure is shown diagrammatically in Figure 1, and the national bodies involved are listed in Figure 2 (see opposite page). The Diocesan Pastoral Committee, which is responsible for reviewing the pastoral organisation of the diocese, submits a draft pastoral scheme, including the redundancy, to the Diocesan Bishop. If the Bishop approves, the pastoral scheme is then sent as proposals to the Church Commissioners, who under the Pastoral Measure have set up a Redundant Churches Committee. During this first stage the advice of the Council for Places of Worship is statutorily required on the historical and architectural merits of the church and surrounding churches, and on its contents. The Council for Places of Worship, which was formerly the Council for the Care of Churches, has a bells Sub-Committee. Its members are appointed on the invitation of the Archbishops, and at present are Mr. Sharpe, Mr. Clouston, Mr. Elphick, and two architects, Mr. Bayley and Mr. McDonald. If the Commissioners approve the proposals, notice of the proposed declaration of redundancy is given in the Press, and representations may be made within 28 days. Unless there is an appeal against a proposed declaration of redundancy, it is then approved by the Queen in Council, and takes effect on publication in the London Gazette. There now follows a waiting period, for a minimum of one year, and usually for not more than three years, while the future of the building is decided. During the waiting period the building is vested in the Diocesan Board of Finance, which is responsible for the care, maintenance, and insurance of the church, and its fittings. The parochial church council and any rector no longer have these responsibilities; and faculty jurisdiction ceases. The Diocesan Redundant Churches Uses Committee is under a duty to find a suitable alternative use. The Church Commissioners now prepare a Redundancy Scheme. If an alternative use involving structural alterations, or transfer to the Redundant Churches Fund, or demolition has been suggested, they will consult with the Advisory Board for Redundant Churches, which was set up under the Pastoral Measure to provide independent advice on the churches. When a decision on the future of the church has been made, the Redundancy Scheme is approved by the Queen in Council. for the demolition of the church if no use can be found, and possibly for the sale of the site. The Redundant Churches Fund, which was set up under the Pastoral Measure, has a responsibility for “the preservation in the interests of the nation and of the Church of England of churches of historical and architectural merit vested in them and of their contents”. It has an income of £40,000 a year from the Church Commissioners, and the same from the Department of the Environment, for five years; and up to a further £100,000 from a one-third share of the proceeds of the sale of redundant churches. The policy of the Redundant Churches Fund is to preserve the fittings and other contents of their churches complete and in good order. Churches vested in the Fund can, where required, be restored to use as a church. Bells come under the general heading of fittings in the Pastoral Measure. The parts of the Measure dealing with fittings are not at all clear; and both the Church Commissioners and the Advisory Board for Redundant Churches acknowledge that these parts of the Measure are not working very well. The Church Commissioners and the Advisory Board are particularly concerned that fittings are being offered for disposal before final decisions on redundancies have been made; while Diocesan Advisory Committees have even considered the disposal of fittings from churches where redundancy proceedings had not even been initiated. This is particularly disturbing when the church is subsequently recommended for preservation by the Redundant Churches Fund. The bells can be disposed of by faculty before the redundancy procedure starts. The Redundancy Scheme will normally provide in the cases of churches not being transferred to the Redundant Churches Fund, for the disposal of the fittings, including the bells, by the bishop or his appointed deputy. The Advisory Board have stated strongly their view that this procedure should be strictly followed: but often clearly it is not, and basically it appears to be the wording of the Measure that is at fault. It is plain that as ringers we should make every effort to make sure that the prescribed procedures are carefully followed throughout the redundancy process, so that bells cannot be disposed of without careful consideration. It is also important that we should try to ensure that bells are adequately secured against theft: churches in the waiting period are frequently targets for vandalism and wholesale theft of their contents. The Church Commissioners and the Advisory Board thoroughly appreciate the necessity of expert assessment of the historical, aesthetic, and monetary value of the contents of churches scheduled for demolition or a change of use; and of the case for the preservation of such fittings. They are concerned at the loss to the funds of the Church by the disposal of fittings at less than market value; and they have emphasised the need for diocesan stores for fittings. It is of course bells that we are primarily dealing with, but it is important to remember the value of metal frames and fittings; and to remember, too, that older wooden frames may well be worth preserving as examples of craftsmanship. We have already made contacts with the Church Commissioners, who appear anxious to use the country-wide organisation of societies affiliated to the Central Council. It was of course pointed out that we were not trying to intervene in the statutory arrangements; but that ringers and their associations could, and indeed had already, provided services related to the rehousing of redundant bells. Clearly, though, we can only show ourselves effective if we interest ourselves in the whole range of the problem: redundant single bells as well as rings, and the preservation of archæologically interesting bells as well as modern ones. Contact has been made also with the Redundant Churches Fund, and with the Advisory Board; and it is hoped to develop these more fully later. Mention has already been made of the 790 churches in the Bridges Report. Of these. it was anticipated that 300-400 would be vested in the Redundant Churches Fund. By the beginning of this year, 249 churches had been declared redundant, and 19 had been transferred to the Fund. (See Figure 3.) A particular feature of the Pastoral Measure was that it established a means of dealing with churches which had already been closed for five years or more, and therefore a proportion of the churches so far declared redundant are in this category. We should now be approaching the real problem: churches which are still in use, but which are now no longer needed. As far as bells are concerned, the 295 churches involved by mid-April this year in Redundancy Schemes and Declarations contained an estimated 583 bells at least; and this includes 33 rings or chimes of five or more bells. Unfortunately the detailed survey of the problem which we had hoped to produce at this meeting has not been possible due to the late arrival of information from a number of major associations: ten have sent information during this last week, most of them in the last two days. Only one society refused to help with the survey. We still have very little information on six important dioceses. We are extremely grateful to those who have replied, some in considerable detail, and with obviously a great deal of thought given to preparing the answers. We were particularly encouraged, too, by the number of very kind letters which have been received. The information provided will be analysed and published as soon as possible, and the valuable comments and suggestions will be most useful to the Committee in formulating a policy to recommend to the Central Council. Central Council affiliation meant a lot to the North American Guild of Change Ringers. After hearing from Oxford that the Council had accepted their application, Guild members assembled in Montreal for three celebration handbell peals in one week-end. Kent, Double Norwich and Liversedge variation were each successfully accomplished after a 300-mile drive - a performance with which the Guild is proud to salute the Central Council. Attending the Civic Reception for the Central Council in Oxford during Spring Bank Holiday weekend were (l. to r.) Miss Nancy Boyer, from Birmingham, Alabama (staying in Eynsford. Kent) and Edward W. Martin and Ann Martin, from Washington, D.C. The problem in Suffolk and Lincoln. It was mentioned earlier that the incidence of redundancy anticipated in the Bridges Report was not evenly spread among dioceses, and that a few dioceses had possibilities of over 50 churches becoming redundant. To show that this could be a major problem, capable of solution only on a national basis, we could perhaps consider one of these dioceses which is perhaps better documented than most: St. Edmundsbury and Ipswich. Their Diocesan Commission on Needs and Resources in their Report published in May 1972 anticipated a reduction of 20% in the beneficed clergy by 1980, to 200. The diocese has 490 churches, and an excellent publication by the Revd. John Fitch estimated that no fewer than 219 of them could be involved in redundancy. Many of these could perhaps be preserved by the Redundant Churches Fund if their resources permit: but these churches contain 52 rings of five or more bells, besides many smaller numbers. It is of course likely that Suffolk, like Norfolk, will do all it can to preserve the heritage of its lovely churches; but this is likely to be a problem requiring assistance on a national scale. The Suffolk Guild might well need assistance from the Central Council and the affiliated societies to handle this problem in the best way. A report of the Lincoln Diocesan Pastoral Committee, too, in 1969 contained suggestions for closing 57 churches in this decade, and a further 100 after that. These churches contain some 300 bells between them. What the Ringing Societies should be doing. Contacts should be established with diocesan authorities; in particular with the Pastoral Committee, the Advisory Committee, the Redundant Churches Uses Committee, and the Diocesan Fittings Officer if one has been appointed. Ringing Societies often have the diocesan bishop as their patron or president: this could provide a valuable point of contact. Contacts could also be established with the incumbents of churches likely to become redundant. A complete inventory of bells, including all numbers of bells, should if at all possible be made for each society’s area. taking bells in trust for a time, as the Kent County Association has done with the bells from Holy Cross, Canterbury. buying bells, as the Oxford Diocesan Guild had done at St. Peter-in-the-East, Oxford. attempt to transfer bells, as the Derby Diocesan Association had done at Breadsall, Chellerton, Ticknall, and as the Salisbury Diocesan Guild had done with metal from Imber and St. Peter, Marlborough. Frequent reports from the societies to the Central Council’s redundant bells committee would make co-ordination of the problem easier and more effective. Local initiative in making sure that bells do not disappear without anyone knowing is important. It should be emphasised most strongly that bells can be easily disposed of by the bishop or with his authority under redundancy scheme. Local knowledge and awareness is absolutely imperative if the best possible arrangements are to be made. At St. John, Gloucester, Rudhall’s church with Rudhall bells, local initiative took the form of the purchase of the bells by two individuals: Miss Bliss and Mr. Sharpe bought the ring of six, which are now stored until a suitable church can be found for them. What the Central Council is doing and should at least consider doing. A Redundant Bells Committee of the Central Council should be set up. I shall propose this to the meeting on Tuesday. The Committee should be able to deal with, and be respected by, the national church authorities. The Committee should as a matter of priority establish a list of redundant bells; and seek, through the affiliated societies, a list of churches requiring redundant bells, including single ones. The Central Council through its Redundant Bells Committee should establish close contacts with the national authorities responsible for the redundancy process. With the Church Commissioners this is already established, and is apparently considered to be most valuable. The Committee would, it is envisaged, act as a focal point of contact, not to delay, but to coordinate experience, and satisfy the Church Commissioners as to reliability of information and opinion. We have already received from them a list of churches now declared redundant; and are hopeful of being placed on the list of those advised of redundancy declarations. With the possibility that more bishops might in future appoint the Church Commissioners their deputy for the disposal of fittings, it is possible that the Church Commissioners may be even more involved with the disposal of redundant bells. We have mentioned earlier, too, the Council for Places of Worship and its Bells Sub-Committee. Contact has been made with Mr. John Smith, the Secretary of its Conservation Committee. We are hopeful of obtaining early notice of impending redundancies from them, although of course it should be recalled that at the early stage at which they are involved, matters are likely to be very confidential, because of the possibility of change in a draft pastoral scheme at this stage. Mention has already been made of contacts with the Redundant Churches Fund, and the Advisory Board for Redundant Churches. In all these cases we would anticipate acting as a focal point between societies and the national church authorities, to make matters easier and more consistent for both sides. A “bell bank” - site, security and insurance are obviously very important here. A fittings store for frames, and other fittings for possible “do it yourself” activities. Asking the help of the bell founders for notice of redundant bells. An important aspect: advising societies keeping them up to date with developments. It should be a two-way traffic. The possibility of a bell museum. A national fund: this could perhaps be in the form of interest-free loans, or of guaranteeing a bank loan. To societies and thus to local authorities. Overseas sales of bells: the Church Commissioners have sold several. The possibility of converting bells into chimes rather than into scrap: several single bells might be more easily tuned and housed as a chime than as a ring. In conclusion I would like to express my very sincere thanks to Miss Jane Foster for her considerable efforts which have provided the research background to this paper, the visual aids used to illustrate it and for typing the synopsis of the paper. I would also like to thank Mrs. Jennifer Starbuck for carrying out the reproduction of the synopsis. The 76th Annual Meeting of the Central Council was held on Tuesday, May 29th, in the Town Hall, Oxford. The President, Mr. John Freeman, presided. The meeting was opened with prayer, led by the Very Revd. A. G. G. Thurlow, Dean of Gloucester. The Secretary (Mr. C. A. Wratten) reported that 63 societies were affiliated to the Council, with 167 representative members; the Rules provided for 24 honorary members, and there were eight Life members - making a total possible membership of 199. There were however three vacancies. All subscriptions had been paid. Apologies for absence had been received from Miss J. M. Percy, the Revd. R. D. St. J. Smith, Messrs. R. S. Anderson, B. E. Bartlett, W. E. Critchley, J. T. Dunwoody, B. Jones, G. S. Morris, H. N. Pitstow, D. J. Roberts, E. C. Shepherd, E. J. Sollis, and Dr. C. M. P. Johnson. In proposing the North American Guild, the Secretary described the extent, size and achievements of the Guild to date. The 16 or so ringable towers that form the backbone of North American change ringing run from Quebec in the north to Houston, Texas, in the south, and fan out west, broadly along the Canada-U.S. border, to Victoria, British Columbia, in the far west; nearly all contain Guild members. The Guild also has individual members living across the continent, and can consequently claim to be truly North American. More importantly, the main motive power is now coming, not from expatriate Britons, but from native North Americans. There has been a dramatic surge in activity - many new rings of bells installed, a huge increase in the number of ringers, and increasingly complex methods being rung to peals and quarter-peals - recently. By accepting the application the Council would not completely restore the position before the War of Independence, but it would do much to encourage ringing in North America. Mr. P. M. J. Gray (Australia and New Zealand Assn. ), seconding the application, said that it would give him the greatest pleasure no longer to be the only overseas representative on the Council. The application with approved, with general applause. Mr. D. A. Bayles (Durham and Newcastle Assn.) moved the acceptance of the application from the Durham University Society. The Society, he said, sought the same rights as other University ringing societies already affiliated to the Council; if this led to the Council becoming too large, then the Rules should be amended. But the Council should not discriminate against some societies. Coming as he did from “Paulson Tribunal country”, he felt that he ought to admit at once that he had received some financial inducement from the Society - in the shape of two free dinners over the past seven or eight years (laughter). He had however received no inducements of any other sort, he added: to Durham University ringers a call-girl was a lady conductor (laughter). The application was seconded by a former member of the University, the Revd. L. R. Pizzey (Suffolk Guild). Mr. A. Martin (Chester D. G.) said that the Durham and Leeds applications hung together: both societies had the necessary qualifications, and unless there was any positive reason to reject the applications, they should be accepted. But if the applications were accepted, might there not be a flood of similar applications from the technical colleges, school societies, and so on? He felt that the Administrative Committee should consider the future possibilities, and advise the Council. The application was accepted by a large majority. The affiliation of the Leeds University Society was proposed by Mr. W. F. Moreton (Yorkshire Assn. ), who said that he felt like a cricketer coming in to bat after all the runs had already been made. He would however make two points. A university is an educational establishment, and therefore naturally does a lot of teaching, including teaching ringers who later spread throughout the country; this was confirmed by his own experience, and by that of Dr. Camp, of the Oxford University Society. Secondly, the Leeds society had been responsible for the revival of ringing at Burnley, their headquarters, and had done much restoration work in the tower. Seconding, Mr. C. Crossthwaite (Lancashire Assn.) said that he agreed with Mr. Martin - the application should be accepted unless there were good reasons to reject it. After the Secretary had read the names of new members - Miss K. M. H. Branson (Scottish Assn.) and M. H. D. O’Callaghan (Kent C.A. ), both of whom had joined last year but had not been present at the meeting in London, C. J. Champion (Sussex C.A. ), F. N. Golden (Norwich Dioc. A. ), J. A. Hoare (Swansea and Brecon Dioc. A. ), W. A. Theobald (North American Guild), C. C. Monson (Durham Univ. Soc. ), and R. G. Green (Leeds Univ. Soc.) - the President welcomed them to the Council, hoping that they would find its meetings valuable and that they would be able to contribute to its work. Two nominations appeared on the agenda: Mr. Walter Ayre and Mr. Wilfrid G. Wilson. Mr. B. M. Barker (Hertford C.A.) said that he had very little to tell about Mr. Ayre, who had always fought for the best in ringing. He had joined the Council in 1926, and was now its longest continuously serving member; he had served on committees since 1933, and from 1945 until 1972 had been on the Peals Analysis Committee. He was an all-rounder - composer, conductor, adviser, teacher, and above all was known in Hertfordshire as a Sunday Service ringer. He had had his ups and downs on the Council, but it was hoped that his membership would continue for many more years. Mr. A. R. Agg (Hertford C.A.) seconded the nomination. 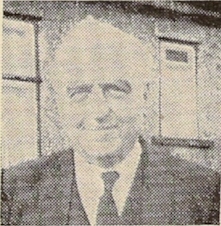 He said that Walter Ayre had served the Council for 47 years, and the Hertford Association for over 50 years; he had been president of the latter in 1935 and again when the Council had visited St. Albans in 1969. Although he was not a fit man, he was still a force to be reckoned with. Mr. Ayre was elected a Life Member, and, deeply moved, expressed his thanks to the Council. Mr. E. A. Barnett (Life Member) proposed the election of Mr. W. G. Wilson. If Gaul could be divided in three parts, he said, Mr. Wilson could be divided into at least four. He was a practical ringer and instructor. He was an association officer, have been Assistant Secretary of the Middlesex Association from 1930 until 1948, and Treasurer of the London County Association for some years. He was well-known as an author: his series of articles “On Conducting” had been reprinted as a booklet, from which the profits had gone to The Ringing World; he had been one of the committee responsible for the Beginners’ Handbook, of which heaven knows how many copies had been sold; and he had written “Change Ringing” for Fabers. Finally he was a Central Council member, having represented the Middlesex Association from 1936 to 1948 and the London County Association since 1952, and serving on the Ringing World committee since 1959. He, Mr. Barnett, could remember Mr. Wilson’s maiden speech in the Council, at Canterbury in 1937, when he had suggested a definition for peals of Doubles and Minor that had ended a long-standing controversy of the time, and that remained basically unchanged to this day. It shouldn’t be thought that he agreed with everything Mr. Wilson did and said - far from it! - but he knew that everything Mr. Wilson did was for the good of the Exercise. It gave him great pleasure to propose Mr. Wilson as a Life Member. In seconding, Mrs. J. Staniforth (Ladies Guild) said that very few Council members could be aware of the amount of time and energy Mr. Wilson spent as Chairman of The Ringing World committee, not only at home but at Guildford, particularly during the Editor’s recent illness. Mr. Wilson was elected a Life Member. In acknowledging, he said that he found himself at an unaccustomed loss for words to express his appreciation. He was even more pleased that it was an honour that did not entail extra work (laughter), and he would continue to do all he could for ringing. Five of the present honorary members - Mrs. S. M. Drew and Messrs. C. W. Denyer, G. R. Drew, G. W. Pipe, and F. A. White - were due to retire this year, and the sad death of Mr. H. J. Sanger since the last meeting of the Council had added a further vacancy. With the two vacancies that had been left unfilled last year, there was thus a total of eight unfilled places. There was some discussion as to whether any vacancies should be deliberately left unfilled, but a proposition that three be left was defeated by a clear majority. Eight names were then proposed and seconded by various members of the Council: Mr. J. A. Acres, for his work on compiling statistics of individual ringers’ achievements; Mr. and Mrs. Drew, for their work with the Council’s publications throughout the year; Mr. C. W. Denyer, the Editor of The Ringing World; Mr. G. W. Pipe, who was responsible for overseas liaison on the Public Relations Committee; Miss Jane Foster, a non-member who had already done a tremendous amount of work for the Redundant Bells, sub-committee; Mr. R. H. Dove, author of the well-known Guide; and Mr. F. A. White, bell-hanger. The nominations were voted on individually, all but Mr. Acres obtaining approval by a majority of members. The Council stood in silence while the President read the list of past members who had died since the Council last met: Messrs. R. Pateman (St. David’s Guild 1967-68, died September, 1972), A. Tomlinson (Lancashire Assn. 1930-35, 1945-50 and 1954-56, died Sept. 9, 1972), W. G. E. Collett (Oxford Soc. 1930-45, died Oct. 26, 1972), H. J. Sanger (Bath and Wells Dioc. Assn. 1946-71, honorary member 1972-73, died Jan. 18, 1973), C. J. Sedgley (Suffolk Guild 1927-56, died Jan. 18, 1973), and G. J. Valentine (Peterborough Dioc. Guild 1945-50, died March 1973). The Revd. M. C. C. Melville then said a short prayer. The Secretary proposed the adoption of the Minutes of the last meeting, as published in The Ringing World of 2nd March 1973 and circulated to members but with the addition of the name of E. J. Sollis to the list of those who had sent apologies for absence. Mr. E. A. Barnett seconded. The Minutes were then accepted. Arising from the Minutes, the Secretary reported that the name of Looe had been accepted for the method rung by the Bristol Society on 22 October 1971. Messrs P. M. Adcock (Norwich D.A. representative since 1966), W. L. Weller (Sussex C.A. since 1963), and G. I. Lewis (Swansea and Brecon D.G., 1934-7 and since 1951). Our thanks are due to them for their past services, and we welcome their successors, Messrs F. N. Golden, C. J. Champion, and J. A. Hoare respectively. One long-standing and valued member, Mr. H. J. Sanger, has died. At the time of his death he was an honorary member of the Council, but he had previously represented the Bath & Wells Diocesan Association for some 25 years. A tribute to his work for ringing will be found in the report of the Towers and Belfries Committee. Correspondence during the year has been largely routine, although there have been some exceptions of general interest and concern. Exchanges with Association officers concerning the bells of redundant churches at Chester (St. Mary-within-the-Walls) and Derby (St. Alkmund) are an indication of the growing problem facing the Exercise today. (In the first of these cases plans are, I believe, in hand within the Chester Guild, but no home has yet been found for the Derby bells, which are at present in store). On the same subject, I received on October 19th a resolution from the Salisbury Diocesan Guild, which considered that the Council was failing to give a lead to affiliated Guilds and Associations on the two most important issues facing ringers today - the redeployment of bells from redundant churches, and the investigation of efficient methods of sound control for towers - and which asked the Council “to apply its mind to these problems immediately … and to make its findings available to its affiliated bodies”. The week before the Administrative Committee had set up a redundant bells sub-committee, details of which will be found in that Committee’s report, and at the time of writing it seems likely that a high proportion of this year’s Council weekend in Oxford will also be devoted to this most important subject. I have also had an exchange of letters with a North Country publishing house, which was at one time thinking of reprinting Dr. Raven’s “Bells of England”, which first appeared in 1906. The idea has now been dropped, but the firm is now (after some prompting) considering Morris’s “History and Art of Change Ringing” in its stead. During the year I was pleased to be able to send the Council’s congratulations to two of its members - to Sir John Betjeman, on his appointment as Poet Laureate, and to Canon A. G. G. Thurlow, on his appointment as Dean of Gloucester. One enquirer whom I was unfortunately unable to help wished to know how “ringers relate Multi Omni-directional Relay of (all) Mental Processes etc. to their work”; the problem was in no way simplified by the added information that the phenomenon did not occur under ten or more feet of water. Adoption of the report was proposed by Mr. C. A. Wratten, seconded by Mr. E. A. Barnett. Mr. C. J. Groome (Peterborough Guild) enquired whether anything could be added to the remarks about a possible reprint of Morris’s “History and Art of Change Ringing”. The Secretary said that he had had no further news since February. Mr. N. J. Diserens (Oxford Dioc. Guild) pointed out that the original book had contained a number of inaccuracies, and hoped that steps would be taken to correct them before any reprint appeared. The Secretary said that he would bear this in mind in his contacts with the firm concerned. Mr. F. E. Dukes (Irish Assn.) said that the idea of republishing the book had first been raised some years ago, but that nothing had apparently come of the idea on that occasion. In several ways the year has been unusual. A marked increase occurred in the number of requests for information entailing research without Library books being loaned to the persons making the enquiries. While in many instances this is easier than dispatching books on loan, it is often very time-consuming; and I regret there have been delays in replying. I am also sorry to report that it has again been necessary to write a great many letters asking for the return of books. The number of books borrowed has been slightly less than last year, but that was an exceptional one. A task hitherto unknown has been the valuation of the Libraries of several associations; the information was required for insurance purposes. The value of the County books on bells continues to rise rapidly; and antiquarian booksellers have been known to catalogue some of them at £25-£30 recently. Another unusual feature of 1972 was correspondence with Universities in India and America who were interested in collecting books on Campanology; and this may be one of the causes in the rapid increase in the prices quoted for second-hand books. At the last meeting of the Council it was decided to publish by instalments in The Ringing World a catalogue of the books in the Library. I regret that lack of available space has prevented this to date. The following books were donated to the Library during 1972: The Ringing World; The Irish Bell News; Report of the Bath and Wells Diocesan Association, 1971; Report of the Peterborough Diocesan Guild, 1971; Report of the Truro Diocesan Guild, 1971. From the Llandaff and Monmouth Diocesan Association we received a copy of the “Catalogue of Books in the Association’s Library”. A copy of a guide book by an anonymous author on “The Parish Church of Bolton-le-Moors, St. George” was presented by Mr. Peter Came. The book is of particular interest to ringers as it contains an account of the life and work of Canon H. J. Elsee, who for 46 years was President of the Lancashire Association. From the author, Mr. G. Halls, were received two copies of “All Saints Cathedral Bells and Tower, Derby”; and Mr. Christopher Groome donated a copy of the latest edition of “Diagrams”. recently published by him. From Mr. C. A. Wratten we received a typescript of a comprehensive “Index to Volumes 1-14 of Church Bells”, compiled by him; and our thanks are tendered to Mr. David J. Gay for obtaining Xerox copies of the pages of F. H. Cheetham’s “Church Bells of Lancashire” which we did not previously possess. Mr. Gay also donated a Xerox copy of Mr. R. M. W. Clouston’s “Church Bells of Linlithgowshire”; and I had much pleasure in placing in the Library a copy of Volume IV of my “Church Bells of Herefordshire”. In moving the adoption of the report, Mr. F. Sharpe drew members’ attention to the need to return borrowed books promptly, as they were often in great demand. Mr. F. Perrens seconded. Mr. B. G. Warwick (Leicester Dioc. Guild) asked what the position was about printing the catalogue of the Library’s contents - would it appear in The Ringing World, or was it intended that it should be included in the new Council Handbook? Mr. Denyer said that he had as yet received no “copy”, but that he understood the catalogue was likely to be a lengthy one. He would however try to publish it when it was received. The President suggested that this could be left to Mr. Sharpe and Mr. Denyer to work out, and the report was then adopted. Five demonstrations have been given during the year by Mr. and Mrs. Dobbie, to a total of 95 people, and methods rung on all numbers of bells from five to twelve. The machine has worked reasonably well throughout the year, requiring only the replacement of one small spring, apart from minor adjustments. We would like once again to record our thanks to the demonstrators for all that they have done to keep the machine in good order and to show it to the visiting parties. Douglas Hughes, Frank E. Haynes. Trustees. Mr. D. Hughes (Honorary member) proposed the adoption of the trustees’ report. He added that the second trustee, Mr. F. E. Haynes, had now found it impossible to continue, and expressed his gratitude for the work he had done. Mr. H. W. Rogers (London County Assn.) seconded, and the report was adopted. Mr. Hughes then proposed Mr. W. H. Dobbie (Soc. of Royal Cumberland Youths) as a trustee. Mr. Dobbie, he said, had done marvellous work with the ringing machine already, keeping it in excellent condition and demonstrating it very well; Mr. W. G. Wilson seconded, and Mr. Dobbie was elected. At the President’s suggestion, it was agreed that the Secretary should write to Mr. Haynes, expressing the Council’s gratitude for the work he had done during his time as trustee. After it had been agreed that the accounts of The Ringing World should be considered separately, later in the meeting as part of The Ringing World committee report, the Secretary summarised the financial situation. He had no particular comments to make on the Clement Glenn Fund or the Publications Fund, except that there was a tax liability on the profits in the latter which would be shown in next year’s accounts. But the General Fund was, he said, causing him some concern. The sole source of income to the Fund was now representative members’ subscriptions, amounting to £167; the £62 “sundries” in last year’s accounts had been royalties from sales of the “Tintinnalogia” reprint, and this had not been repeated. On the other hand expenditure during 1972 had averaged £1.24 per member - 1.50 if the cost of the Sunday Service Survey were included, but this was a non-recurring item. The increase was due to a number of factors: the Council was now meeting part of the cost of its annual meeting, rather than expecting the whole bill to be met by the host society; there were increased committee expenses as work grew; and inflation was with the Council as with everyone else. As a result the Fund had had a loss of some £90 last year, and would be empty by the end of this year if expenditure continued at the same rate. Mr. G. W. Pipe (Honorary member) said that he found it difficult to understand why the Secretary had to apologise for suggesting an increase in subscriptions to £1.50 per member; he felt the Council should consider a more substantial increase, for example to £2.00 (hear, hear). He was supported by Mr. E. Billings (Peterborough Guild), who also wanted to make one correction to what the Secretary had said: inflation was against the Council, not with it (laughter). Acceptance of the accounts was deferred until after those for The Ringing World had been considered, and the Secretary then formally proposed that the representative member’s subscription be increased to £1.50 from January 1st 1974. Mr. E. A. Barnett seconded the proposition. Mr. F. Reynolds (Lancashire Assn.) immediately moved an amendment that the subscription be raised to £2.00, and was seconded by Mr. G. W. Pipe, who said that he knew that a lot of expense in connection with the redundant bells survey was being borne privately. Members’ expenditure on behalf of the Council should be recompensed. The Revd. J. G. M. Scott (Guild of Devonshire Ringers) said that only a fraction of his committee’s expenses was shown in the accounts. He was encouraging members of the Towers and Belfries committee to show their actual expenditure on such things as letters and telephones, and the committee’s cost would be sure to rise sharply in the future. Mr. W. G. Wilson said the Council was now aware of the problems that had been facing The Ringing World for a long time and hoped that, if the price of The Ringing World were to be increased, members would react in the same way as they were now. Mr. G. Dodds (Hertford County Assn.) hoped that the majority of members would agree to the £2.00 subscription, and also hoped that their Associations would similarly approve. He asked that full publicity would be given to the reasons for the increase. The amendment was agreed and, on being put as the substantive motion, was passed by a very large majority. Mr. P. M. J. Gray enquired, on behalf of the overseas representatives on the Council, what rate of exchange would be accepted for Australian and American dollars (laughter). The Administrative Committee had agreed at its last meeting that the Council should be asked to approve the establishment of a Redundant Bells Committee, and a proposition to this effect was moved by Mr. D. Beresford (Soc. of Royal Cumberland Youths, and chairman of the Redundant Bells sub-committee of the Administrative Committee). There had been an excellent meeting on Sunday evening to discuss the problem of redundant bells, he said, and he did not intend to repeat everything that had been said then. Although there was already in existence a sub-committee to deal with the problem, this was not in a very powerful position for dealing with the Church authorities, a situation that could be remedied by the formation of a proper committee of the Council, as allowed for in Rule 12. Its terms of reference would be those set out in the Administrative Committee’s report. Mr F. Sharpe (Life member) formally seconded. Mr. G. W. Pipe made a brief report to the Council of what had transpired as Sunday’s meeting. He said that both response to the sub-committee’s questionnaire sent to all societies and the attendance at the meeting (which he judged to have been between 200 and 250 people) showed that the problem was one of concern both in imminence and size. Those who were able to attend had been presented with a very comprehensive description of the problem, of how it does and will affect ringers, and of initial steps to be taken in tackling it, and copies were available for members to take back to their societies if they wanted to. the Redundant Bells committee should be kept informed of all that was happening, and use should be made of its expertise. He accepted that there was no real substitute for good local arrangements, but this committee would be recognised by the Church authorities as a national body. Mr. G. A. Halls (Derby Dioc. Assn.) congratulated the Administrative Committee on its idea of a redundant bells committee. He found the proposed terms of reference difficult to fault individually, but collectively they were much too weak. The important thing was to bring together the two sides of the same problem - redundant bells that were at present being sold or scrapped, and those who wanted but were unable to obtain bells. The main problem in obtaining a ring of bells was the cost, one-third of which was for the bells themselves, and another third for the frames and fittings; it was therefore important that wherever possible frames should also be saved. Diocesan authorities should be strongly encouraged to make redundant bells available, either free or at minimum cost, to other churches either inside or out of the diocese. To help, the Redundant Bells Committee should maintain a register of redundant bells, so that parochial authorities could refer to it for information. But the most important thing was that there should be good men at ground level: local associations should be encouraged to keep their own registers of bells. Dr. Camp suggested that the committee should be called the “committee on redundant bells” (a suggestion that was finally accepted by the Council as the “committee for redundant bells”). Mrs. O. D. Barnett (Honorary member) remarked that one association had refused to reply to the questionnaire, and felt that this was a pity. Perhaps its representatives could ask it to reconsider, for she thought that it had some useful information to pass on to others. The Very Revd. A. G. G. Thurlow felt that two particular cases should be drawn to members’ attention as an encouragement to others. These were the Oxford Diocesan Guild’s purchase of the redundant bells of St. Peter-in-the-East, Oxford, for subsequent resale elsewhere, and the purchase of the long-unused bells of St. John’s, Gloucester, by Mr. F. Sharpe and Miss E. M. Bliss, on the strict condition that they should be sold to a church that would appreciated and use them. Mr. W. L. Exton (Southwell Dioc. Guild) said that the question had been raised by his Guild at the Council meeting four years ago. The Southwell Guild now had a representative on the Diocesan Advisory Committee, it had a place to store redundant bells, the cost of whose removal was shared with the Diocesan Advisory Committee, and the bells themselves were not sold but treated as being on permanent loan. The problems had to be solved locally, not by committees. Mr. F. B. Lufkin (Essex Assoc.) said that prestige was required at the high level; most work could and would be done locally, but guidance and prestige was required. Replying to the debate, Mr. Beresford regretted that not all members had been able to be present on Sunday evening, but said that the paper given at that meeting would appear in full in The Ringing World. He too would have liked the terms of reference to have been stronger, but the committee could not tell Diocesan authorities what to do. The aim was to help local associations to do the utmost possible. As far as cost was concerned, this varied from diocese to diocese. But the Church Commissioners’ view was that the value should be paid to the parish from which the bells came. Modifications to the Pastoral Measure of 1968 to cover weaknesses that had since come to light - for example, concerning fittings - were being discussed, and the Council might make recommendations. It was then agreed by the Council that a Committee for Redundant Bells should be established, with terms of reference as set out in the Administrative Committee report, plus power to act in consultation with the Administrative and Towers & Belfries committees. On the question of membership, Mr. Beresford said that he thought it important that it should be a balanced committee, with members of standing to represent the Exercise in its dealings with the Church authorities. He would therefore propose, as the policy-making element, the Very Revd. A. G. G. Thurlow, Mr. F. Sharpe - whose experience would be invaluable - and Mr. J. Freeman (this latter was later amended to “the President of the Council”); and, for the detailed work, which would be primarily in London, there should be three other members. Mr. D. Sibson (Soc. of Royal Cumberland Youths) proposed Mr. Beresford, Mr. A Frost, and Miss Jane Foster; Mr. F. Dukes seconded. The Revd. J. G. M. Scott proposed, and Mr. R. Savory seconded, the addition of Canon K. W. H. Felstead (honorary member), who was now one of the Church Commissioners. After the Council had agreed that membership need not be limited to five, as enjoined by the Rules, the above were elected. Mr. J. R. Taylor moved that a Computer Coordination Committee be set up. He suggested that this should continue the work started by Mr. C. A. Wratten in acting as a clearing house for information on the use of computers in the service of ringing, and that it should report to the Council on what was happening in this field. In case anyone should ask why a computer should be used in ringing, he mentioned five jobs in which computers had already helped: in the extension of methods for the Methods Committee, using programs written by Mr. G. Dodds; in producing tables of methods and falseness, by Messrs. Hudson and McClenahan at Cambridge; in studies by Messrs. Harris, McClenahan and Threlfall of the swinging motions of bells and their clappers; in the analysis of the replies to the Survey of Sunday Service Ringing; and in the checking of peal compositions for truth. A computer was ideal for such tasks because it was available, automatic, reliable and accurate, and was fast; it could thus help to eliminate drudgery and eliminate errors. A computer could never acquire the composer’s skills, but it could enable him to develop them by freeing him from hours of checking and re-checking his workings. Nor would a committee find itself coordinating the use of stolen computer time, as had been suggested in a letter in The Ringing World; on the contrary, it would urge experimenters to obtain permission before starting work. The motion was seconded by Dr. J. C. Baldwin (Oxford Dioc. Guild), who said that, after attending a programming course over 10 years ago, he had written two programs, one to extract false course-ends, and the other to generate all possible Surprise Major methods. He shuddered to think how much programming and computer time had since been spent up and down the country in re-computing the same problems, for haphazard use of computers was not allowing the Exercise to make full use of their abilities. He felt that the committee should (a) collect information on the ringing problems being tackled with the aid of computers; (b) provide a means of exchanging information on techniques used - possibly by means of a newsletter, since the subject was often too technical for the columns of The Ringing World; (c) be responsible for peal-checking, falseness tables, and checking compositions appearing in Central Council publications; (d) investigate whether computers might be used in other branches of ringing; and (e) report to the Council on significant developments, and, where possible, undertake tasks for it. It was agreed that such committee be set up, and Messrs. J. C. Baldwin, S. J. Ivin, D. E. Sibson, J. R. Taylor, and C. A. Wratten were elected to serve on it. He said that members realised that the Council’s work was done throughout the year by its committees. It was therefore important to elect the right people to these committees, and to be able to assess each member’s contribution once elected. He accepted that not all committees needed to meet, but there was a precedent for his proposal in the Towers & Belfries committee’s report, where the number of inspections by each member during the year was reported. Seconding, Mr. C. J. Groome (Peterborough Dioc. Guild) said that details of committee members’ attendances had long appeared in the Yorkshire Association annual report. The Council gave careful consideration to the election of members to a new committee, but it did not give the same consideration once the committee had been established, although committees develop and change. It was important that the Council should make the best possible use of available skills amongst its members. Mr. G. R. Drew (Honorary member) pointed out that only a very small part of a committee’s work was in fact done at meetings. Mr. P. A. Corby (Kent County Assn.) detected an inconsistency in the proposition, since attendance wasn’t a reliable indication of what contribution was made - look at the House of Lords! (Laughter). All Council work was done voluntarily, and he did not think that an attendance register was an effective means of achieving the proposer’s aim. Canon K. W. H. Felstead agreed. Mr. J. R. Norris (Sussex County Assn.) considered that there was more behind the motion than appeared. It was difficult for junior members of the Council to join a committee, when others have been doing excellent work for so long, and this perhaps lead to frustration. New members should perhaps be encouraged to join committees. Mr. W. G. Wilson said that any member would soon find himself on a committee if he were to approach its chairman with an offer to help; in time he would become indispensible, and would be elected a full member. He felt that nothing would be achieved by the motion. The Revd. J. G. M. Scott said he agreed in part, but wondered whether a list of new members’ names and interests could be sent out with the Council papers each year to give some idea of their potentialities. After Mr. A. J. Martin, seconded by Mr. F. Reynolds, had moved that the motion be put and the Council had agreed, the motion was put to the vote, and was defeated. Mr. Dodd said that, in bringing the motion, he did not intend wasting further Council time on something which had already been well aired on numerous occasions over the past 25 years; it was his intention to right a wrong and ask that, now that all future nine-bell peals on these bells would be accepted, the Council should accept the peals of Grandsire Caters (rung on 16 Feb. 1946), Plain Bob Caters (on 21 Nov. 1959, 24 Nov. 1970, and 23 April 1972), and Stedman Caters (20 Nov. 1971). The motion was seconded by Mr. A. V. Davis (Winchester & Portsmouth Dioc. Guild), who said that he supported it because the peals were good performances; if the Council accepted them, it would prove the right solution and the most satisfactory to all concerned. Mr. R. B. Smith (Honorary member) opposed the proposition: if it were accepted, it would be a dangerous precedent, he said. Affiliated societies all undertook to observe the Rules and Decisions of the Council, and when the Council had rejected the peal of Stedman Sextuples rung at Leicester, the Guild had deleted it from its records. Why should one Guild seek exceptional treatment? The peals had been rung, knowing that they contravened the Council’s rules, and there was no cause for complaint that they had been rejected. A proposition that the Council move to the next business was defeated, after which Canon Felstead said that his maiden speech 27 years ago had been on the same subject. The rules had not then allowed for 9-bell peals, and he had argued that such peals should be accepted: if only the Council had taken his advice then! Mr. Dodd, replying to the debate, said that his Guild had agreed that the subject should be brought up. He hoped that it could now be settled once and for all, and that members would vote the right way. The motion was then put, and was defeated by a large majority. The Committee met twice during the year, on each occasion in Leicester. In the course of these meetings two sub-committees were set up. The first, consisting of Messrs. C. Crossthwaite, P. M. J. Gray, W. F. Moreton and G. W. Pipe, has been asked to look into means of making the annual Council meeting more attractive within the framework of the existing Rules and to report back by this autumn. The sub-committee was also asked to propose topics for an “open” pre-Council meeting this year. As a result, all Council Members were circulated in January, and the two topics of most general concern - redundant bells, and recruitment and training - were selected for discussion. The success (or otherwise) of these two meetings will be considered when the Committee next meets, and future plans made accordingly. The other sub-committee has been asked to investigate the problems associated with redundant bells; it consists of Messrs. D. Beresford, F. Sharpe, B. D. Threlfall, and R. F. B. Speed. The first step has been to send a detailed questionnaire to all territorial associations and guilds. To establish the scope of the problems in churches declared redundant, or likely to become so in the foreseeable future. To create an awareness among ringers and the public generally of the problems arising from church bells becoming redundant, including the archaeological and financial aspects. To examine what organisational arrangements should be made with national bodies, e.g. the Church Commissioners, the Redundant Churches Fund, the Council for Places of Worship. To establish a means by which experience and organisational arrangements already made with (e.g.) Diocesan Redundancy Policy Committees, are available to all ringing associations. To ascertain and make known the legal position regarding redundant bells. To assess the total financial resources devoted nationally by ringing associations to bell restoration. To relate this to the financial requirements necessary for the preservation and rehousing of bells of good quality and of archaeological importance. To develop long-term plans as appropriate and make recommendations to the Administrative Committee and the Central Council. Finally, the Secretary of the Council has been authorised to prepare and publish a revised edition of the Central Council Handbook, which is now out of print. Work is in hand, but as it was felt by the Committee that the opportunity should be taken to include any recommendations or advice arising from the work on redundant bells, the new Handbook is unlikely to appear for at least a year. After the Secretary had moved the adoption of the report, and Mr. F. Dukes had seconded, Mr. C. Crossthwaite asked for members’ comments on the two pre-Council meetings that had been held on Sunday evening and Monday afternoon. These had been arranged partly as the result of some criticism that not enough time was being spent in discussing ringing matters in depth. For the future, there were two possibilities - that, if there were two meetings again, they could either be held simultaneously (and split the attendance), or separately (to the loss of ringing and social time). Dr. J. Armstrong (Essex Assn.) regretted that he had been unable to be present, but understood that the meetings had been very useful. He would however like to sound a word of warning: it was important that such meetings should not pre-empt the Council business proper. Many members were unable to be present for other than the official Council meeting on the Tuesday. Mr. J. R. Mayne (Honorary Member) pointed out that some earlier pre-Council meetings had not been full “open” meetings, as this year, but discussions of detailed technical committee work. New members might find that meetings of this type gave them an opportunity to contribute to the work of committees in which they were interested, to their mutual benefit. On a show of hands, there was a clear majority in favour of continuing with these meetings in future. Mr. H. W. Rogers said that he was delighted to see that plans were in hand to reprint the Council Handbook, but asked whether it might be possible to issue it before next year’s meeting. The Secretary said that it would be possible to get something out, but that the Administrative Committee had felt that it would be better to wait and have a comprehensive Handbook. J. W. Clarke, Chester Diocesan Guild, 1947-64. Died January 9, 1972. (Attended 11 meetings). J. Segar, Southwell Diocesan Guild, 1953-59. Died April 11, 1972. (Attended 5 meetings). R. Pateman, St. Davids Diocesan Guild, 1967-68. Died September, 1972. (Did not attend a meeting). A. Tomlinson, Lancashire Association, 1930-35, 1945-50, 1954-56. Died September 9, 1972. (Attended 14 meetings). W. G. E. Collett, Oxford Society, 1930-45. Died October 26, 1972. (Attended 9 meetings). J. W. Clarke published a survey of the bells of Cheshire and their history in the “Transactions of the Lancashire and Cheshire Antiquarian Society”, 1948 onwards. This survey was reprinted separately at a later date. J. Segar, in addition to being a change ringer, an author and a composer, displayed his exceptional skill and ability tapping handbells. In the years 1912 and 1913 he tapped several peals of Minor in this way. Mr. T. J. Lock (Middlesex County Assn.) proposed, and Mr. W. Viggers (Honorary member) seconded, adoption of the report. Mr Lock asked that new members of the Council should complete biographies forms, and also thanked Mrs. Dodds for writing-up the biographies sheets over the past year; one ledger of these sheets was available for inspection during the meeting. Some correspondents in The Ringing World during the last twelve months have been critical of the “Survey of Sunday Service Bands and Ringing” in two ways - (a) in that the Survey is being held at all, and (b) in the content of the questions. The responsibility for the Survey lies with the Council, for this Committee willingly undertook the request given it at Ilkley to make a survey. As we reported last year, Mr. W. Butler (who is co-ordinating the various aspects of this work) made a test survey of the Oxford Guild and the information and immediate results seem to show that the efforts were well worthwhile. It will inevitably be for individual Guilds and Associations to decide whether the larger Survey is (a) informative - depending on the previous knowledge of the state of ringing in their area and on the thoroughness with which the questionnaires were circulated and collected (some localities had 100% returns) - and (b) action-making. We hoped for a 90%-plus return but expected 70-80%. The missing 20-30% may be chiefly silent or weak towers, but these are the ones Guilds and Associations will especially want to know about. “So far 1401 replies have been transferred to punched cards, representing the replies of 18 Guilds and Associations, and those of another 11 are to hand. Members of the Council may be interested in a brief review of the statistics so far obtained. Of the 1401 towers surveyed, the condition of 27% is excellent, 54% good, and 9% poor, the remainder being “bad and thus unringable” or “unringable for any other reason”. 981 towers (70%) are rung for service and 889 (63%) have a practice night. Length of service ringing varies on average from 44 minutes in the 17 twelve-bell towers analysed to 28 minutes in the 70 five-bell towers, the overall average being 33 minutes. As might be expected, five- and six-bell towers are best able to man all their bells, and the general feeling by bands is that Sunday Service ringing has improved over recent years although only 8% of replies indicated that “advanced” methods are rung regularly. Practice nights in general are longer (by 10 minutes) in winter (except in the case of ten-bell towers and this may be due to the smallness of the sample). Although only 981 towers manage to ring for service, 1110 claimed to have a band of some sort, giving a ringing population for the towers analysed so far of 11,000. Approximately one-third of the ringers are learners, one-third are under 18, and one-third are female (of course these thirds are overlapping). Two-thirds are members of the local Guild or Association, and 44% of the towers have been visited for meetings within the last twelve months. Despite the fact that 35% of towers felt that the current action was satisfactory, 28% didn’t demand any action at all from their Association (i.e. a blank answer); 21% asked for instruction - by far the most called-for action; and 7% asked their Association to “hold more practices”. Perhaps the most striking observation to be highlighted so far is that, of the towers surveyed, only 21% were aware of the fact that Local Education Authorities can financially assist with instruction. J. C. Baldwin. 22 January 1973. We comment no further at the moment. The normal work of the Committee - advice, chiefly on ringing courses, theological colleges, and the Washington film - continues. In particular Mr. F. Sharpe has given courses of lectures at Lady Spencer Churchill College and at the Adult Education Centre at Charlbury. He has also given weekly (twelve so far) talks on bells on Radio Oxford. New ground has been broken in two ways. A tape recording, made primarily for the ringers at Houston, Texas, giving examples of teaching elementary ringing, and illustrating a number of exercises in A Tutor’s Handbook, Part 1, is now available (to those who send a blank tape large enough to take 40 minutes’ recording, and 15p to Mr. C. M. Smith, 29 Dimbles Hill, Lichfield, Staffs, WS13 7NH). Short, duplicated items like “Elementary Method Splicing”, “The Proof of Plain Bob” and “Safety in the Bell Tower” are being published cheaply. We would welcome suggestions for further short articles. In moving the adoption of the report, Mr. W. F. Moreton (Yorkshire Assn.) said that Mr. R. B. Smith had been co-opted to the committee during the past year, in order to organise some regional courses, aimed at getting members of different associations together. 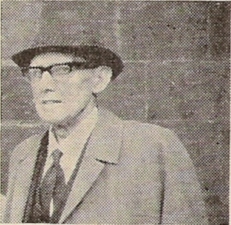 Mr. N. Chaddock (Yorkshire Assn.) seconded. Commenting on the preliminary results of the Sunday Service Survey, he said that they showed a fairly similar result to that obtained in the last survey, in 1958, but that although they showed a slight improvement he felt that this might be an over-rosy picture. Mr. Halls queried the accuracy of the figures, which he suspected to be so inaccurate as to be useless. He showed that, if one extrapolated from the figures so far obtained, one could show that anything from 21% to 95% of the rings of bells in the country were “good” depending on what assumptions were made. Using different assumptions again, the range could be from 57% to 87%. It was therefore quite impossible to make any safe assumptions. He had suggested in The Ringing World that a sample based on a proper random sample of 400 towers would provide better and more mathematically reliable results. But in such a sample, it was important that the towers be chosen properly, and not simply haphazardly; any results would be biased if only enthusiastic towers replied. Dr. Baldwin said that Mr. Halls spoke with the benefit of hindsight. He accepted that there was a lot of truth in what he had said, and that a random sample would have been ideal. But any accurate census is best done by enumerators, not by sending out forms. 2168 returns had been analysed before the computer on which the work was being done, had been shut down, and now re-programming was necessary. Mr. Corby said that members should wait until the final report was ready, but at the same time he wondered how many statistics were needed to prove that the situation was bad. Congregations in the Church of England were in decline, and there were therefore less ringers. Mr. Dodds pointed out that the decline in congregations had been discovered by a similar survey. Although the costs of enumeration were clearly prohibitive, we still needed to know the position and, although not all the results of the Survey could be accepted as gospel, he felt the surveyors should be congratulated on their work. Mr. W. Butler (Oxford Dioc. Guild) said that the success of the survey clearly depended on the response. This had been very good in some areas - in the Bath & Wells, and the Gloucester & Bristol associations, for example - but one Guild had still not replied in spite of five reminders. Extrapolating from the returns so far, there were 41,800 ringers in Britain; in 1958 the figure had been 41,700. Work has begun on the preparation of a revised Collection of Doubles Methods for publication as soon as possible. The report was adopted on the proposition of Mr. C. K. Lewis (Honorary member), seconded by Mr. W. Ayre. 4,338 peals were rung in 1972, 3,715 on tower bells and 623 on handbells. For both, numbers are well up on the 1971 totals, following the trend of recent years. The increase has been shared by the majority of the affiliated societies. A break-down of the peals rung by societies and on different numbers of bells, both tower and hand, is attached and, for the interest of members, we have included at the end the 18 non-affiliated societies which rang peals during the year. There were 633 first pealers, 59 more than in 1971, and 103 first as conductor, 28 more than in 1971. All these statistics are welcome to see and, since peals, as all ringing, depend on the keenness and enthusiasm of individuals and bands, we feel that they show that the exercise is in a healthy state. It is interesting, perhaps surprising, to note that in both tower and hand peals of Maximus have decreased after having increased for several years. Ancient Soc. of College Youths: Maximus 12, Cinques 3, Royal 6, Caters 4, Major 12, Triples 5, Minor 2. Total 44. Australia & New Zealand Assn: Major 2, Triples 1. Total 3. Bath & Wells Dioc. Assn: Maximus 1 (+1 “in hand”), Cinques 1 (+2), Royal 6 (+5), Caters 4 (+7), Major 43 (+6), Triples 2 (+6), Minor 45 (+3), Doubles 23, Caters & Royal 1 “in hand”. Total 125 (+31). Bedfordshire Assn: Maximus 3, Royal 16, Caters 1, Major 34 (+1), Triples 7 (+1), Minor 9. Total 70 (+2). Beverley & District Soc. : Maximus 2, Royal 3, Major 16, Minor 9. Total 30. Cambridge Univ. Guild: Maximus 1, Cinques 7, Royal 2 (+1), Caters 2 (+1), Major 12 (+4), Triples 4, Minor 1 (+2). Total 29 (+8). Chester Dioc. Guild: Fourteen 1 “in hand”, Maximus 3 (+2), Cinques 1, Royal 6 (+18), Major 66 (+16), Triples 4, Minor 38 (+10), Doubles 9. Total 127 (+47). Coventry Dioc. Guild: Cinques 1, Royal 2, Caters 4 (+3), Major 30 (+2), Triples 2, Minor 15 (+3), Doubles 4. Total 58 (+8). Cumberland & N. Westmorland Assn: Major 10, Minor 1, Doubles 1 (+1). Total 12 (+1). Derby Dioc. Assn: Royal 7, Caters 5, Major 48 (+1), Triples 2, Minor 23, Doubles 1. Total 86 (+1). Guild of Devonshire Ringers: Maximus 1, Cinques 1, Major 18 (+1), Triples 3, Minor 6. Total 29 (+1). Durham & Newcastle Dioc. Assn: Cinques 1, Royal 1, Caters 1, Major 9 (+3), Triples 1, Minor 10 (+4), Doubles 2. Total 25 (+7). E. Grinstead & Dist. Guild: Major 2. Total 2. Ely Dioc. Assn: Royal 2, Caters 1, Major 67 (+2), Triples 1, Minor 22 (+5), Doubles 5. Total 97 (+8). Essex Assn: Maximus 3, Royal 9, Major 88 (+1), Triples 4, Minor 42, Doubles 9. Total 155 (+1). Glos. & Bristol Dioc. Assn: Maximus 3, Cinques 4, Royal 5 (+1), Major 20 (+7), Triples 13, Minor 28 (+5), Doubles 10 (+3), Minor & Doubles 1. Total 83 (+17). Guildford Dioc. Guild: Maximus 2, Royal 7 (+1), Caters 2, Major 41, Triples 4, Minor 8, Doubles 2. Total 66 (+1). Hereford Dioc. Guild: Royal 3 (+1), Caters 5, Major 25 (+1), Triples 2, Minor 38 (+2), Doubles 5. Total 78 (+4). Hertford County Assn: Maximus 1 (+6), Cinques 2 (+6), Royal 10 (+20), Caters 1 (+2), Major 64 (+28), Triples 9 (+1), Minor 47 (+8), Doubles 3. Total 137 (+71). Irish Assn: Doubles 1 “in hand”. Total 1. Kent County Assn: Maximus 1, Cinques 3, Royal 9 (+3), Caters 1, Major 30 (+2), Triples 4, Minor 36 (+3), Doubles 4 (+1). Total 87 (+ 10). Ladies Guild: Major 1, Doubles & Minor 1. Total 2. Lancashire Assn: Cinques 1, Royal 19 (+1), Caters 4, Major 76 (+3), Triples 3, Minor 19 (+5), Doubles 2. Total 124 (+9). Leicester Dioc. Guild: Sixteen 1, Sextuples 2, Maximus 9 (+8), Cinques 3 (+3), Royal 18 (+27), Caters 3 (+8), Major 110 (+50), Triples 21 (+6), Minor 51 (+15), Doubles 15 (+6). Total 230 (+126). Lincoln Dioc. Guild: Maximus 1 (+2), Cinques 5, Royal 5, Caters 2 (+1), Major 29 (+7), Triples 14 (+1), Minor 42 (+8), Minor & Doubles 1, Doubles 9. Total 103 (+24). Llandaff & Monmouth Dioc. Assn: Maximus 1, Cinques 3, Royal 3, Caters 11, Major 28 (+4), Triples 6, Minor 8 (+1), Doubles 9. Total 69 (+5). London County Assn: Cinques 2, Royal 8, Caters 8, Major 13, Triples 4, Minor 1. Total 36. Manchester Univ. Guild: Major 5 (+7), Minor 1 (+6). Total 6 (+13). Middx. County & London Dioc. Guild: Royal 2, Caters 3, Major 21, Triples 4, Minor 6, Major & Triples 1. Total 36. Midland Counties Guild: Royal 6, Caters 8, Major 28, Triples 4, Minor 8, Doubles 1. Total 55. North Staffs. Assn: Royal 2, Major 6, Minor 1. Total 9. North Wales Assn: Royal 2, Major 1, Triples 1, Minor 1. Total 3 (+2). Norwich Dioc. Assn: Maximus 3, Cinques 1, Royal 3, Caters 5, Major 37 (+2), Triples 2, Minor 26 (+3), Doubles 5. Total 82 (+5). Oxford Dioc. Guild: Maximus 1 (+7), Cinques 3 (+1), Royal 14 (+10), Caters 4 (+1), Major 121 (+12), Triples 22, Minor 60 (+12), Doubles 12 (+1), Minimus 1. Total 228 (+44). Oxford Society: Caters 4, Major 1, Triples 2, Minor 1. Total 8. Oxford Univ. Soc: Maximus 1, Royal 1, Caters 1, Major 8 (+1), Minor 17. Total 28 (+1). Peterborough Dioc. Guild: Royal 19, Caters 5, Major 54 (+2), Triples 1, Minor 38, Doubles 6. Total 123 (+2). St. David’s Dioc. Guild: Triples 1, Minor 2, Doubles 2. Total 5. St. Martin’s Guild: Maximus 34, Cinques 6, Royal 14, Caters 1, Major 21, Triples 2, Minor 1. Total 79. Salisbury Dioc. Guild: Maximus (1), Cinques 1, Royal 4, Caters 3, Major 16, Triples 4, Minor 20 (+2), Doubles 5. Total 53 (+3). Scottish Assn: Royal 1, Minor 3. Total 4. Sheffield & Dist. Soc: Caters 1, Major 5 (+2), Minor 1, Doubles (1). Total 7 (+3). Soc. of Sherwood Youths: Caters 1, Major 3 (+2), Triples 2, Minor 2 (+5). Total 8 (+7). Shropshire Assn: Royal 2, Caters 1, Major 11, Triples 2, Minor 14, Doubles 3. Total 33. S. Derbys. & N. Leics. Assn: None. Soc. Royal Cumberland Youths: Cinques 3, Royal 2, Major 30, Triples 3, Minor 3. Total 41. Southwell Dioc. Guild: Cinques 2, Royal 8, Caters 2, Major 26 (+2), Triples 11, Minor 34 (+2), Doubles 14. Total 97 (+4). Stafford Archd. Soc: Cinques 1, Caters 3, Major 12 (+1), Triples 4, Minor 20, Doubles 1. Total 41 (+1). Suffolk Guild: Maximus 2, Cinques 1, Royal 5 (+1), Caters 1, Major 58 (+6), Triples 3, Minor 50, Doubles 14. Total 134 (+7). Surrey Assn: Maximus 1, Cinques 4, Royal 2, Caters 1, Major 10 (+1), Triples 3, Minor 5 (+1). Total 26 (+2). Sussex County Assn: Maximus 1, Royal 3, Caters 5, Major 57 (+1), Triples 13, Minor 35 (+1), Doubles 12. Total 126 (+2). Swansea & Brecon Guild: Major 3. Total 3. Truro Dioc. Guild: Royal 4, Caters 1 (+1), Major 9, Triples 9, Minor 9, Doubles 11. Total 43 (+1). Universities Assn: Maximus (1), Royal (5), Caters 1, Major 3 (+3), Minor (3). Total 4 (+12). Univ. of Bristol Soc: Cinques 1, Caters 1, Major 3, Triples 1, Minor 5. Total 11. Univ. of London Soc: Maximus 1, Royal (2), Major 6 (+10), Minor 6 (+9). Total 13 (+21). Winchester & Portsmouth Dioc. Guild: Maximus 3 (+1), Cinques 4, Royal 14 (+2), Major 56 (+12), Triples 11 (+2), Minor 19 (+13), Doubles 5 (+4). Total 112 (+34). Worcester & Dist. Assn: Maximus 3, Cinques 2, Royal 4 (+1), Caters 5, Major 79 (+9), Triples 12 (+1), Minor 32 (+8), Doubles 10 (+2). Total 147 (+21). Yorkshire Assn: Maximus 6, Cinques 1, Royal 17 (+3), Caters 8, Major 77 (+6), Triples 2, Minor 31 (+6), Doubles 3. Total 145 (+15). Central Council: Cinques 4. Total 4. Ancient Soc. of Painswick Youths: Minor 1. Total 1. Birmingham Univ. Soc: Major 4, Minor 2. Total 6. Birmingham Soc: Major 2. Total 2. Bristol Soc: Cinques 1, Royal 1, Major 12 (+1), Minor 3, Doubles 1. Total 18 (+1). Guild of Clerical Ringers: Caters 1, Major 1. Total 2. Dronoldore Soc: Major 5 (+1), Minor 1. Total 6 (+1). Durham Univ. Soc: Major 5 (+2), Minor 2 (+4). Total 7 (+6). Leeds Univ. Soc: Royal 1, Major 5, Triples 1. Total 7. Liverpool Univ. Soc: Caters 1, Major 2. Total 3. North American Guild: Maximus (1), Royal (4), Major 2 (+18), Triples 1 (+1), Minor (3). Total 4 (+27). North Hants. Soc: Minor 2, Doubles 1. Total 3. Guild of Post Office Ringers: Major 1, Doubles 1. Total 2. Soc. of Purbeck Youths: Minor 2. Total 2. Reading Univ. Soc: Major 1. Total 1. Soc. of Roving Ringers: Royal 1, Major 1. Total 2. Royal Holloway Soc: Minor 1. Total 1. Soc. of S. London Youths: Triples 1. Total 1. Southampton Univ. Guild: Royal 1. Total 1. Non-Association: Royal 3, Caters 6, Major 10 (+1), Triples 3, Minor 5 (+1), Total 27 (+2). 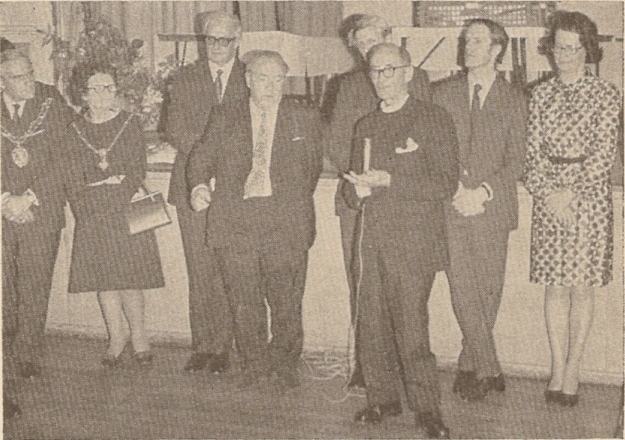 The same number of societies rang over 130 peals in 1971, but in 1972, the Lancashire Association and the Worcestershire and Districts Association replaced the Peterborough Diocesan Guild and the Lincoln Diocesan Guild. We think that the total of 356 by the Leicester Diocesan Guild may be a record for peals by a society in a year. Most of the standard methods have maintained their popularity. Grandsire Cinques has gone up in number of peals rung (11 in 1972, none in 1971); so also has London Surprise Major, which, with 169 peals, has now drawn level with Cambridge. Bristol Maximus (11 peals) now rivals Yorkshire Maximus (12), and has overtaken Londinium and Newgate combined (8 and 2 respectively). The most popular methods in 1972 were Plain Bob (862 peals, including 290 “in hand”); Cambridge - 334 (12 “in hand”); Grandsire - 296 (30); Yorkshire - 285 (5); London - 247 (16); Stedman - 212 (38); and Bristol - 145 (17). In no other method were more than a hundred peals rung, although there were 186 peals of Spliced Surprise Major during the year. The 3,715 tower bell peals were rung in 1,651 towers, about 30% of all towers available. Of these 896 had only one peal each. Another 21 towers had 10 or more peals. Winchester & Portsmouth Diocesan Guild - peals of 9, 10 and 4 Spliced Plain Royal on handbells at Southampton on 4th April, 8th July and 20th December respectively. All contained methods which have only three leads in the plain course (Crayford Little Court and Burford Little Bob). Oxford Diocesan Guild - Plain Bob Caters at Basingstoke on 23rd April - rung without a cover bell. (N.B. This peal was rung before the decision of the Council at its 1972 meeting (which was not retrospective) to allow peals of Caters on the unique ring of 9 bells at All Saints, Basingstoke). University of London Society - 210 Surprise Minor at Chigwell on 3rd July, and 290 Surprise Minor at Stoke D’Abernon on 7th July. Both peals contained methods which are false in the plain course. Worcestershire & Districts Association - Plain Bob Minimus on handbells at Cheltenham on 29th October. Peals of Minimus on handbells are not recognised by the Council. Ancient Society of College Youths - London, Cripplegate - Londinium Surprise Maximus - silent and non-conducted. Bath & Wells Diocesan Association - Backwell - 23 Spliced Surprise Major - first peal ever in which each bell does different work in every lead. - Meldreth - Stedman Triples - Dr. Slack’s composition. Coventry Diocesan Guild - Alverston - Bob Minor - five first pealers, first as conductor. Gloucester & Bristol Diocesan Association - Bristol, St. Stephen - 110 Spliced Surprise Maximus. Hereford Diocesan Guild - Llanfeigan - 10,000 Plain Bob Major. Kent County Association - Cranbrook - Bob Triples - five first pealers, one first inside, first as conductor (local band). - Various handbell peals including two of Yorkshire Surprise Major; notable because of isolation from other centres of ringing and great distances travelled to achieve these peals. North Staffordshire Association - Church Leigh - Kent Treble Bob Minor - five first pealers. - Cox Green - first peal of Bristol Surprise Maximus on handbells. St. Martin’s Guild - Aston - 110 Spliced Surprise Maximus. - Grundisburgh - Bob Major - conducted by G. E. Symonds (aged 97). Surrey Association - Merton - Bob Minor - five first pealers (local band). Truro Diocesan Guild - St. Denis - 10,752 Bob Major (longest length by the Guild). Winchester & Portsmouth Diocesan Guild - Southampton (handbells) - 13,440 Bob Major. - Ossett (handbells) - series of peals leading up to Minor in 301 methods. In addition, if we had not had to omit them from the records on technical grounds, we would have included in this list the peals of 210 and 290 Spliced Surprise Minor by the University of London Society. W, WS, W, WS, H, twice repeated. We are advised that this calling does not conflict with the Central Council’s rules for peals. In a peal at St. Olave’s, Hart Street, London, on 16th October 1970, blocks of 2,160 changes were used, but we have been unable to find out the calling. In our report for 1971 we drew attention to the large number of errors in the peal columns of the Ringing World, on which all our statistics are based. We regret to say that during 1972 there have been even more such errors, which have caused us much unnecessary work. We, therefore, again ask conductors to check their copy thoroughly before submitting it for publication, and, if their peals do contain errors, to notify the Editor immediately so that correction notices can be published. Membership- We have co-opted Mr. D. Sloman (Essex Assoc.) on to the Committee. Mr. F. B. Lufkin (Essex Assn.) moved the adoption of the report, and said that in all cases the phrase “we are advised” meant that the question had been referred to Mr. F. T. Blagrove, for whose assistance the committee was grateful. Mr. C. H. Rogers (Middlesex County Assn.) seconded. Referring to the peal of Cambridge Minor at Cox Green in September 1970, Mr. C. K. Lewis said that a “spot” decision had been made some years ago that such blocks of 1440 changes were not acceptable. He now agreed that this decision had been wrong, and, although he would personally not call such blocks, he accepted that they were permissible under the revised rules. Later, after it had been proposed and seconded that the Cox Green peal be rejected, Mr. Blagrove said that the 1440 could be split into two 30-lead blocks, each making a true 720; it did not matter how these blocks were joined together, they still met the requirements of the rules. The Council then voted to accept the peal. Turning to the peals of 210 and 290 Surprise Minor by the University of London Society, rejected by the committee, Mr. S. Humphrey (Southwell D. G.) said that they did not contradict the rules and should be accepted. Mr. M. C. W. Sherwood (Manchester Univ. Guild) disagreed: both peals contained methods that were false in the plain course, and the rules demanded that the round-block (i.e. the plain course) must be true, he said. There was however another point - the question of merit. Both peals were true, for only one lead was rung of each method; and both were complicated and required complicated rules - the present rules were insufficient to cover this sort of peal. He proposed that they should both be accepted because of the merit of their performance. Mr. Savory said the same argument could be applied to the rejected Winchester & Portsmouth Guild peals of Spliced Royal. Mr. A. J. Frost (University of London Soc.) seconded Mr. Sherwood’s proposition, but said that the position was not the same for the Royal peals, for the peals of Minor had increased the number of methods that were legitimately available, whereas the Royal had not. Mr. Mayne said that once again the Council was faced by a subtle technical point, which was very difficult to settle in full session. False methods, he said, cut across the accepted rules, and this was more important than that the peals were themselves true. There were many ways of ringing true peals, but only by getting further away from true change-ringing all the time. But the present rules simply did not admit methods false in their plain course. The motion to accept these two peals was put to the vote, and defeated. After Mr. Frost said that no peal had been rung at St. Olave’s Hart Street, on 16th October 1970 (as stated in the report), and Mr. Lufkin had said that the report had appeared in The Ringing World, no. 1023, the report was adopted. Mr. R. F. B. Speed (Honorary member) said that the committee had no written report, as there had been very little activity. The only point of interest was the publication of the collection of 10- and 12-bell compositions during the year, and at present there was nothing on the active agenda. If anybody considered that there were any significant gaps in the existing collections - for example, Triples - perhaps they would contact the committee. Mr. G. E. Feirn (Lincoln Dioc. Guild) seconded. Mr. W. Viggers said that some Triples methods had been included in the Ringer’s Diary a few years ago, but had apparently aroused little interest. The report was then adopted. Sales continue at about the same level, with the Beginners’ Handbook by far the most popular book. There were two new publications during the year, “10 and 12-Bell Compositions” and “Starting Courses of Stedman Cinques”. It is hoped these will be of value to the Exercise. Also a new format of the Recruiting Leaflet was produced and reprints of Tutors I and II were obtained. It is hoped that something can soon be done to provide new versions of “Doubles” and “Preservation and Repair of Bells”. We hope soon to replace the “Surprise Methods - Place Notation”, which will shortly be sold out. The bank balance at the end of the year appeared to be very healthy, but this was a bit misleading. A further supply of Beginners’ Handbooks has been ordered, resulting in a further bill for £296, and there are also other publications which will need to be reproduced during this coming year. The idea of having a price inclusive of postage has proved a sound one. In all a busy and satisfactory year. Mr. G. R. Drew proposed, and Mr. W. F. Moreton seconded, the adoption of the report. In reply to a question from Mr. J. Seager (Sheffield & District Soc. ), Mr. F. Sharpe said that publication of the new book on Preservation and Repair of Bells had been delayed by the slow appearance of some necessary technical drawings. These had been at last received over the past week, and he hoped that the book would now be published before long. Answering Mr. Chaddock, he said that it would contain a chapter on sound control. Mr. C. J. Groome emphasised the advantages of advertising new publications in The Ringing World. Further questions from Messrs. J. M. Jelley (Leicester Dioc. Guild), M. C. W. Sherwood, and A. M. Barber (Ely Dioc. Assn.) led Mr. Drew to say that a new and up-to-date Collection of Surprise Methods was being prepared, but that it had not been decided whether it might also include the few Delight and Alliance methods that had now been rung to peals; there was obviously a limit to what could be included in a book of reasonable size. During the year the newly-formed Public Relations Committee has continued the work of the committees which it replaced. Liaison with the broadcasting authorities has remained the responsibility of Harold Pitstow. In the report of the Broadcasting and Television Committee for 1971 reference was made to the fact that efforts would be made to persuade the BBC to change the recordings used for the daily broadcasts of bells, deleting some which had been heard for years and replacing them with more recent material. There are prospects of changes being made soon but it is not yet possible to say what they will be. It is interesting and gratifying to note here information from the BBC that the “Christmas Bells” programme had a much bigger audience in 1972 than for some years past. The recordings for this programme on the whole were good, the one exception being Winchester. There we understand it was made on an evening which was wet and windy and, no doubt, the microphone was placed where it was protected from the weather rather than where it would receive the bells to the best advantage. The changing of the time for the Sunday morning broadcast of bells from 7.45 am, to 7.15 brought forth protests - not all from ringers - and these were addressed to the BBC. It is good that the broadcasting authorities should be made aware that the use of bells to introduce the day’s programmes appeals to an audience much wider than the ringing fraternity; in this case the representations have been successful and the ringing interlude has reverted to 7.45 a.m. where we hope it will remain. 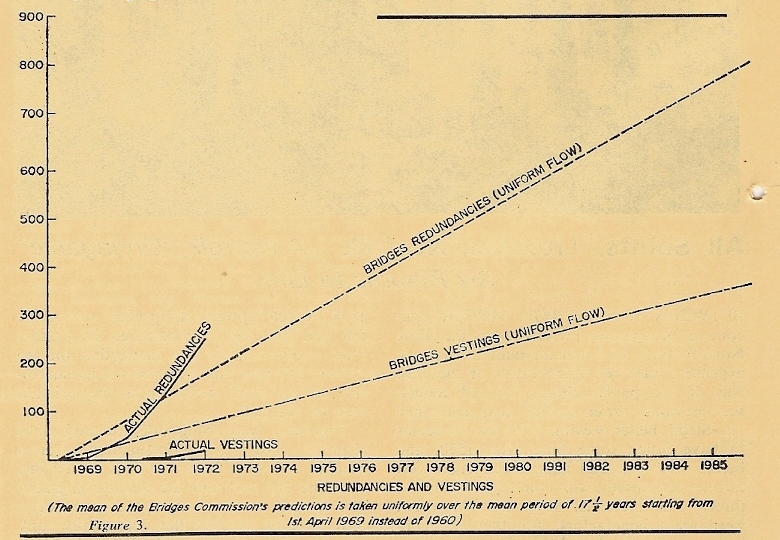 It appears from reports from the Regions that bells have been heard less on the air in 1972 than in previous years. This, however, is not necessarily so and it may simply indicate that all broadcasts have not been brought to the attention of this committee. In this connection the increasing number of local broadcasting stations, with their emphasis on programmes of parochial interest, is likely to offer more opportunities for individual bands to make their own arrangements or to be approached about broadcasts on ringing matters. As sometimes happens now, such items may form part of features whose names give little indication of their content and we would ask ringers becoming involved in such broadcasts which are likely to be of interest to the exercise to write to The Ringing World giving the details. From Wales there have been several television programmes in which bells could be heard in the background. In BBC Bristol’s “Request Programme with Arthur Parkman” a conversation was heard with Emlyn Hancock about his ringing at St. Mary Redcliffe and his family’s handbell ringing at Colston Hall concerts. The only broadcast of ringing which has been notified from the Midland Region was that from the Christmas Eve Carol Service from Birmingham Cathedral. From the Northern Region there appears to have been nothing except a programme from Radio Teesside about handbell ringers raising funds in the Saltburn area. Dennis Bayles, however, was interviewed on Radio Durham for a contribution to a programme on the town of Chester-le-Street. East Anglia reported a variety of programmes broadcast during the year. BBC Norwich gave a film report on the restoration of the 16th century bell cage at East Bergholt and another on that notable ringer George Symonds whose 97th birthday peal was heard. Also on radio bells rung in Cambridgeshire and Huntingdon against the expulsion of Bishop Winter from South Africa, the rehung bells at Bacton, Suffolk, sponsored ringing to raise money for the church at Marsham, Norfolk, handbell ringing at Cambridge, and there was a report featuring the ringers at St. Mary’s Church, Woodbridge. Anglia Television broadcast morning service from Hitchen bringing in the bells at the beginning, and in the “About Anglia” programme there was an item on Campanology from Nettlesham, Lincolnshire. London Region reported the bells of Guildford Cathedral heard at the conclusion of a service broadcast on television, and two or three programmes which had bells as a background without any indication of the sources. There was, in addition, an interesting television programme in the “Made in Britain” series covering the manufacture of tower bells and handbells at the Whitechapel foundry. Radio Eireann had welcomed 1972 with the sound of the bells of Christ Church Cathedral, Dublin and they followed this on March 1st by opening the programme “Appraisal of the Arts” with them. This feature was broadcast in connection with the Dublin Arts Festival and it included a talk by Charles Reede on the history of bells and bellringing and how bells were rung. David Taylor, the Ringing Master at Christ Church, was also heard instructing a recruit in bell control. He also discussed the theory of ringing and the way in which weekly practices and Sunday ringing were organised. The same evening a television programme showed the Christ Church band ringing for the official opening of the Festival. Local newspapers have contained more references to ringing than the national press and this possibly reflects the energy with which individual ringers have pursued the interests of their own bands as well as the involvement of reporters in local affairs. The Bristol press gave prominence about the disturbance said to be caused by ringing at St. Werburgh’s church but our correspondent informs us that the article was not followed up by the paper concerned; on the other hand, several young mothers in the area who were part of an action group formed to stop the bells being rung, started to learn ringing. Other newspaper reporting from the West of England was more sympathetic. Timothy Collins’ peal ringing activities were featured as were the stereo recording of St. Mary Redcliffe bells which is about to be placed on sale by Saydisc, and the impending recording of bells of the Cotswolds in the “Bells of Britain” series. In the Cheltenham area the restorations at Leckhampton and Badgeworth were extensively reported as were the activities of the Leckhampton ringers. A well-written article of general ringing interest by R. W. G. Graves appeared in the Lynn News and Advertiser with acknowledgements to Norman V. Harding of St. Margaret’s Kings Lynn for advice and information. The Irish press extensively reported ringing and associated matters. Prominence was given to the bells and ringers at St. Patrick’s Cathedral, Dublin in articles and photographs associated with the Liberties Festival. The ringing programme for this festival was reported and it included the methods rung on all possible combinations of the 14 bells in the cathedral. Articles with a recruiting note appeared in the Church of Ireland Gazette in connection with the revival of ringing at St. Columba’s Cathedral, Londonderry, in the Evening Herald referring to the need for more ringers at Bray and in the Cork Examiner which featured young ladies ringing at St. Finbarre’s Cathedral, Cork. The dedication of the two new trebles at St. Malachi’s, Hillsborough was very well reported by the Church of Ireland Gazette and the same paper published a nostalgic article entitled “Musical Memories” which referred to ringing at Mount St. Adolphus and St. Mary’s Cathedral, Limerick during the early part of this century. Other articles of general interest in the Irish press were an interesting discourse on “The Bells of Shannon” in the Irish Times, reference to the centenary of the first peal in Ireland (27th July 1872 at Waterford) in the News and Star, a series of articles in the Irish Builder and Engineer entitled “Buildings Worth Saving” which included references to three Dublin churches and their bells, and a feature about the ringers of Limerick Cathedral in the Limerick Leader. In the general field of communication our attention has been drawn to the services offered by the Church Information Office, Church House, Dean’s Yard, Westminster SW1P 3NZ. This office issues a weekly news bulletin to nearly 300 newspapers, radio and television stations and freelance correspondents throughout the country, as well as a monthly bulletin of notes for editors of diocesan magazines. Their Press Officer welcomes information from all sources in the Church of England and members may find this service of use in publicising their own societies’ activities. For the weekly bulletin information must be received by Friday afternoon but information for diocesan magazine editors will be in time if received by the 18th of the month. Ringing activity outside the British Isles continues to increase particularly in North America. This has been extensively reported in The Ringing World and calls for no further comment from this committee. Finally we wish to take this opportunity of paying tribute to the work of the late Harry Sanger. He was an early pioneer in the broadcasting of bells and we remember with much pleasure those excellent recordings of Evercreech bells for which he was responsible. The co-operation of the BBC in ringing broadcasting owes much to the foundations he laid and he will be sadly missed. Proposing the report’s adoption, Mr. J. S. Mason (ASCY) said that Mr. G. W. Pipe had agreed to be responsible for liaison with overseas ringers. He also said that the BBC was about to start using some new recordings of bells, and thought that the first two to be heard would probably be North Mymms and Drumbo. Mrs. J. S. King (Llandaff & Monmouth Dioc. Assn.) seconded. Mr. G. W. Pipe said that he had that morning received from Mr. Theobald a list of North American rings of bells omitted from Dove’s “Guide”, not all of them ringable - a six at Baltimore, eights at Burlington, NJ, and at St. Peter’s and St. Mark’s, Philadelphia, ten at Holy Trinity, New York, and a 12 in Philadelphia; in addition a ring of six was to be installed at Newcastle, Delaware, and an eight at Brewster, NY. and was seconded by Mr. P. G. Smart (Guildford Dioc. Guild). The President wondered whether the resolution might boomerang, and Mr. Mason said that the BBC had to be persuaded; changes were happening, and in the meantime judgement should be reserved. The Revd. J. G. M. Scott pointed out that, although the BBC might be persuaded of the case for maintaining a high standard on national radio, people wanted to hear their local bells on local radio. In the latter case, ringers need not rely on the committee to approach the BBC, but should make their own contacts. Several members spoke of their very successful contracts with local radio, and Mr. W. G. Wilson said that the BBC would be broadcasting two schools programmes on bells and ringing in the autumn. Mr. C. K. Lewis said that any ringers who happened to be teachers should contact the local BBC education officer if they had any comments on ringing programmes; he personally had found the Education Service of the BBC and ITV very useful and helpful, and pleased to be consulted. On being put to the vote, Mr. Pipe’s motion was defeated, and the report was then adopted. A. First peals on tower bells in 1972. B. First peals on handbells in 1972. C. Record peals on tower bells in 1972. We note that the name of the method rung on October 22nd 1971 for the Bristol Society has been changed to Looe S. Major. Adoption of the report was proposed by Mr. F. T. Blagrove, seconded by Mr. D. E. Sibson. Mr. Blagrove said that, during Mr. Denyer’s illness, two notices of long peal attempts had not appeared in The Ringing World as early as was required by the rules. This had not been the fault of the conductors concerned, and had been unavoidable in the circumstances. The Administrative Committee had consequently agreed to recommend that, if the peals were successful, they should be accepted; and also that, to prevent such a thing happening again, to ask that conductors of long peal attempts should send a copy of their notification to The Ringing World, to the Records Committee. Several members queried the appropriateness of some of the names that had been given to methods, but the President felt that, while some names might be deprecated, there was little point in labouring the subject. After a very full report last year reviewing the previous three-year period, a relatively brief report may well have sufficed for this year. In many respects, however, the past twelve months have been quite eventful, although at the date of our March 1973 Committee meeting we have much for which to be thankful. The average weekly sales for 1971 were 5,503 copies. The average for the four weeks of February, 1973, was 5,805 and we must congratulate the Editor for all his hard work and enthusiasm in achieving this figure. If by the end of 1973 these sales can be raised to at least 6,000 some of our difficulties will be overcome. At our March 1972 meeting we agreed to a 5% rise in the charge for printing and, taking into account also new postal rates, we revised our subscription rates. We also undertook a thorough review of our advertising rates, raising them in two stages - at 1 May 1972 and 1 May 1973. At this time too we began to be concerned at the effect of the imminent move of the printers to a new establishment, then expected in May. In October we were again concentrating on finance, an interim statement by our accountant indicating that income and expenditure were then running almost level. By then we had reached agreement with Seven Corners Press Ltd., on the (very reasonable) terms for renting our office in the new works and we knew also that we should have to install our own telephone. Bearing all this in mind, having also to expect further increases in charges and postal rates and being also concerned about the size of our reserve fund in relation to our annual expenditure in the prevailing inflationary conditions, we carried out a careful price review. As a result we had to announce an increase to eight pence in the price of the paper from the first issue in January, 1973, and an increase for postal subscribers of 50p per annum for one weekly copy. We also regretfully had to tell the Editor that he could no longer afford additional pages until the price went up. Then came the national “freeze”. From enquiries of the Government and on the advice of Mr. W. B. Cartwright, we had to retain the former prices at least for the duration of the Freeze. Very many of our readers have, however, appreciated our position and have shown it in a very tangible way. In the last few months the amount “gratefully acknowledged” has shown a large increase and many of our postal subscribers have sent us the additional 50p voluntarily. The only way we can really show our gratitude is to assure our readers that we will continue to produce for them the best paper possible. We have now (March 1973) considered our annual accounts and the auditor’s report on them, and report that they show a surplus of income over expenditure at 31st December 1972 of almost £500. This is largely accounted for by the addition to our income for 1972 of £185 bad debt recovered, and by the economies we made (in spite of the increased printing charges) in reducing our expenditure on printing and on blocks by the reduction in the number of 24-page issues. After careful consideration, we have decided to take no action for the present (even if such were possible) to alter the present price of The Ringing World. In view of the increasing circulation and the additional donations from our readers we have asked the Editor to give us an extra four pages when warranted, so as to give our readers as much return as possible. The move to new premises finally took place on 1 January 1973, and is undoubtedly a great improvement. More space and good working conditions at last. The work entailed can be imagined. The papers and the dirt and dust of ages had to be dealt with and Mr. Denyer has spent many extra hours daily and many week-ends packing, unpacking, sorting and getting straight. To add to his problems were the many times when printing was not possible because of the move or over the Christmas period. At the same time the number of peals rung during the latter part of 1972 was much greater than normal, and this coincided with a spell of about three weeks when no peals were set up in type. An issue during the week before Christmas was impossible - the works were closed completely. But we considered it unfair that postal subscribers should have to miss an issue - they had paid for, so we arranged for a double-size issue dated 22/29 December 1972. We had many expressions of satisfaction at this arrangement. At our October meeting we were glad to be able to renew Mr. Denyer’s contract for a further period of three years. Unfortunately all the difficulties referred to had their effect and on 25 January 1973, Mr. Denyer collapsed and was rushed to hospital. Happily the intensive care he received and his subsequent enforced rest has resulted in his recovery and we hope that by the time this report is submitted in mid-March, his Doctor will have allowed him to start work again. The messages of concern and sympathy and good wishes to himself and Mrs. Denyer have arrived in incredible numbers. We know that these messages and the knowledge that the Committee managed to keep the weekly issues appearing on time (though not we realise to the same standard) have contributed greatly to his recovery. It is clear, however, that he must not be allowed to expend so much energy as previously in accepting engagements in all parts of the country at week-ends. Here we must pay tribute to the staff of Seven Corners Press Ltd., for their great help during the past weeks. Especially to Mr. Maurice Drake and the works foreman, Mr. Charles Way. As examples of this help, Mr. Drake arranged for a new type fount to enable us to get up-to-date with our peal reports, and Mr. Way saw to the weekly “make-up” and provided proofs by post to save many long journeys. As a prelude to our March meeting this year, we had the pleasure of thanking Mr. Way personally and making him a presentation to mark his imminent retirement after having been concerned with The Ringing World in one way or another for almost fifty years. Mr. Drake and Mr. Way then showed the Committee members and Council officers round the new works. We must conclude by thanking Mr. and Mrs. Lucas for their continued work in the office and especially for extra support in Mr. Denyer’s absence, all our contributors, the officers of the Council for their continued interest and support, and Mr. Douglas Hughes our treasurer and Mr. David Tate our accountant and auditor. The Chairman wishes to acknowledge the strong support he has received from the other members of the Committee, especially early in 1972, and to express his gratitude for their hospitality at our meetings. During the past month there had been negotiations with Seven Corners Press over increases in printing-costs - due mainly to increased labour charges (half of which could by law be passed on) and rising costs of materials (all of which could be passed to the customer). They had reached an agreement at a rise of some 7½%, which would amount to £1,000 per year, and the Ringing World committee had yesterday agreed that this should be paid from June 1st. The committee had also agreed that the price of The Ringing World should not be increased, since in any case they could not legally increase it by more than ½p. They were consequently looking to an increased circulation to provide additional income. Turning next to The Ringing World accounts, Mr. Wilson said that the figures spoke for themselves. Since the committee’s meeting in March, some £1,700 had been reinvested, on the accountant’s advice, in 3% Savings Bonds and Imperial Tobacco 8% Unsecured Loan Stock 1985/90, the value of which had increased by £350 within a fortnight of purchase. Replying to Mr. Jelley, he undertook to ascertain on what the tax liability of £253 was based. Mr. Butler asked whether the current value of investments could be included in the accounts, but was told that this was not normal practice in the City, where the accounts were drawn up. After The Ringing World accounts had been accepted, the Secretary proposed, and Mr. E. A. Barnett seconded, the adoption of the complete Council accounts. This was agreed. The Committee has during the year been gradually changing over as regards the Chairmanship; the new Chairman hopes to be able to maintain the outstanding quality of the work of his predecessor, but views the prospect with some trepidation. It is with the deepest regret that we have to report the death of Harry Sanger, whose work in Somerset was exceptional not only for its quality and care, but also because he had succeeded in building up under the auspices of the Bath & Wells Association a towers and belfries advisory service which can have had few rivals in the country. We are happy to know that the work will be continuing, and that George Massey is already doing a good deal of work in Somerset. During 1972, the total number of “cases” amounted to 205, distributed as follows: Beds. 6; Berks. 14; Bucks, 5; Cambs. 3; Cheshire 1; Derbys. 3; Devon 20; Dorset 4; Essex 2; Glos. 18; Hants. 5; Herefs. 5; Herts. 4; Kent 4; Lancs. 1; Lincs. 6; London 4; Norfolk 1; Northants 2; Notts. 9; Oxon 8; Salop. 2; Somerset 23; Staffs. 1; Surrey 5; Sussex 3; Warwicks. 3; Wilts. 6; Worcs. 4; Yorks. 6; Carms. 4; Glam. 5; Flint 1; New Zealand 2. Among the members of the Committee, the work was shared as follows: F. Sharpe, 81; H. Sanger, 23; J. Scott, 20; A. Frost, 16; F. Collins, 17; W. Exton, 9; J. Freeman, 6; B. Threlfall, 15; B. Austin, 11; T. Roderick, 7. (If these figures do not all total the same, it has to be remembered that some jobs involved more than one member of the Committee). The distribution of the work done is interesting and sometimes disturbing. Cumberland, Westmorland, Durham, Northumberland, Leicestershire, Suffolk, Huntingdonshire and Cornwall made no calls upon us; that may reflect their having adequate advisory facilities apart from those that we provide; or that we are not as well distributed as we might be; or that there is less work going on in those areas: I suspect that it is a combination of the three. Certainly we cannot be happy while we have no member north of Nottingham. The nature of the work involved reflects a continued interest among church-people in keeping their bells going. Advice on general maintenance and condition, 56; rehanging, 69; recasting. 17; augmentation, 16; sound control, 33; towers, 24; ringing rooms, 7; disposal of redundant bells, 19; single bells, 5; new rings, 1; welding bells, 1; chiming apparatus, 2. In connection with the last, it is pleasant to know that in one of these cases, where a Faculty was sought and given to install an electric “change ringing machine”, the member concerned has just been asked for advice on putting the bells into proper ringing order as a band has been formed and the machine used only twice since its installation. The number of augmentations is encouraging, and even more so is the amount of work which is being done on a “do-it-yourself” basis under experienced supervision; the Southwell Diocesan Guild is particularly active in this. Work in connection with redundant bells is steadily rising, and will do so further as much-needed pastoral reorganisation gets under way. Some dioceses have already made arrangements for the safe storage of redundant bells, but others have not, and Guilds and Associations need to bring pressure on their diocesan authorities on this matter. The question of V.A.T. is disturbing; by some strange anomaly, bells in new churches are zero-rated, but repairs, recasting, rehanging and augmentations are subject to tax. The effect on the bellfounders, and to the Church and Exercise could be very serious, and we look to the Council to make strong representations to Government at the appropriate time in the hope of getting this altered at sometime in the future. The Revd. J. G. M. Scott proposed adoption of the report, which had been written, he said, in some trepidation as his first since assuming the chairmanship from Mr. Sharpe. He had to apologise for the incorrect statement that the committee had no member north of Nottingham - Mr. Freeman came from further north; his only excuse was that, to a Devon man, the North Country started at Taunton (laughter). Since writing the report he had received much information on work being done by ringers not on the committee, and he had also received offers of help from a number of people. He was very grateful, and would draw on their services when required. In the meantime, he would propose the addition of Mr. G. W. Massey (Bath & Wells Dioc. Assn.) to the committee, to replace the late Harry Sanger. Mr. B. D. Threlfall (Cambridge Univ. Guild) seconded. Mr. I. H. Oram doubted whether it would be possible to do anything about VAT, which treated bell-founders as part of the building and construction industry, where new work was zero-rated but anything else was liable to the tax. Mr. Scott said that he now accepted this. After some minor amendments had been made to the draft report, the report was adopted, and Mr. Massey elected to serve on the committee. 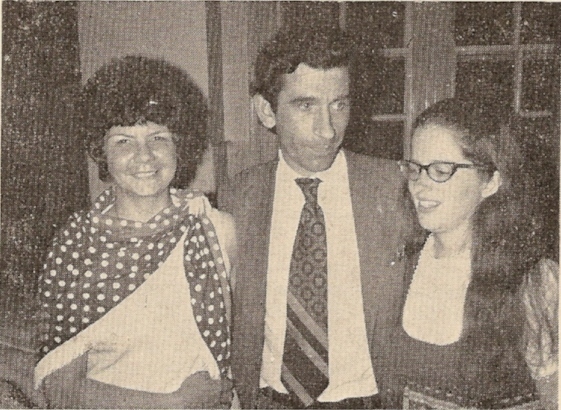 The Council accepted an invitation from Mr. Millhouse to hold its 1975 meeting in Lincoln. Mr. A. J. Davidson (Truro Dioc. Guild) wondered whether the meeting day might not perhaps be moved to the Monday, so that not everyone need necessarily take time off from work to attend, and it was agreed that Mr. Millhouse and the President should together investigate the situation at Lincoln and report back next year. Mr. P. Hughes (Hereford Dioc. Guild) confirmed his Guild’s invitation to the Council to come to Hereford in 1976, and, seconded by Mr. W. F. Moreton, asked that the Council vote at this meeting whether or not to accept. A vote showed general approval, and the invitation was accepted. 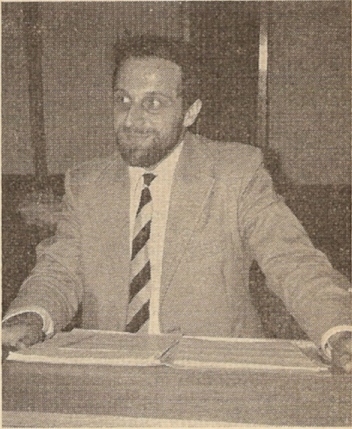 Mr. E. J. Hitchins (Salisbury Dioc. Guild) said that his Guild wished to invite the Council to Salisbury during its centenary year, 1982, and this was noted. The Secretary reported that of the 199 members possible, 173 were present at the meeting, four less than last year’s record total. 53 associations were fully represented, 9 partially represented, and four not represented. The President proposed a vote of thanks to the Revd. Alan Pyburn for taking the service on Monday evening; to the various incumbents who had allowed members the use of their bells over the weekend; to the officers of the Oxford Society and the Oxford Diocesan Guild and their organising committee for their arrangements for ringing and the meeting, and for the reception the previous evening; to the Chairman and main speakers at the two pre-Council meetings; and to the Secretary. Mr. P. A. Corby thanked the President on behalf of the members for the way he had chaired the meeting, and Mrs. O. D. Barnett thanked Miss D. E. Colgate for taking notes of the meeting, for the use of the Secretary and the Editor of The Ringing World. We have audited the annexed balance sheet and have obtained all the information and explanations we required. In our opinion, the balance sheet is properly drawn up so as to exhibit a true and correct view of the state of affairs of “The Ringing World” according to the best of our information and the explanations given to us, and as shown by the books. The following will bring up to date the Central Council Collection of Surprise Methods as far as the end of 1972. 1J. Wankie (b) - 34 - 1458 - 56 - 36.14 - 14.58.36 - 16.5. 2J. Rushmoor (f) - 36 - 14 - 12 - 16 - 34 - 38 - 12 - 7. 3J. Sawston (d) - 38 - 14 - 12 - 36 - 14 - 58 - 12 - 7. 4J. Chequerbent (f) - 38 - 14 - 1256 - 1238 - 14 - 38 - 56 - 3. 5J. Huntsham (f) - 38 - 14 - 1256 - 16 - 12 - 1458 - 14 - 5. 6J. Portsea (d) - 38 - 14 - 1256 - 36.14 - 14.58 - 16 - 7. 7J. Rock (b) - 38 - 14 - 1258 - 1236 - 14 - 1238 - 1456 - 7. 8J. Pitmaston (b) - 38 - 14 - 56 - 16 - 34.12.38 - 16 - 5. 9J. Godmanchester (f) - 38 - 14 - 56 - 16.34 - 12.58.12 - 14.5. 10J. Longstanton (f) - 38 - 14 - 56 - 16.34 - 34.58.34 - 14.5. 11J. Six Mile Bottom (f) - 38 - 14 - 56 - 36 - 14 - 1458 - 14 - 5. 12J. Dry Drayton (f) - 38 - 14 - 56 - 36 - 14 - 58.12 - 12.5. 13J. Jerusalem (b) - 38 - 14 - 58 - 1236 - 34 - 1458 - 16.34.7. 14J. St. Edmund (b) - 38 - 14 - 58 - 1236 - 34 - 58.36 - 16.7. 15J. Upchurch (e) - 38 - 14 - 58 - 16 - 12 - 3458 - 12 - 1. 16J. Kniveton (b) - 38 - 14 - 58 - 16 - 14 - 1258.36.12.34.7. 17J. Benenden (a) - 38 - 14 - 58 - 36 - 14 - 38 - 12 - 3. 18J. Iveshead (b) - 38 - 14 - 58 - 36 - 14 - 38.12 - 14.7. 19J. Bellfoundry (b) - 38 - 14 - 58 - 36 - 14 - 58 - 14.36.7. 20J. Bourn (a) - 38 - 14 - 58 - 36 - 14 - 58.12.36.12.5. 21J. St. Michael the Archangel (b) - 38 - 1456 - 56 - 38 - 14 - 38 - 12 - 7. 22J. Athelstan (b) - 38 - 1458 - 56 - 36 - 14 - 38 - 12 - 7. 23J. Hayes (b) - 38 - 14.56 - 56.38 - 14 - 38 - 12 - 7. 24J. Yorkhouse (b) - 38 - 16 - 12 - 38 - 12 - 58 - 14 - 1. 25J. Knowl Hill (b) - 38 - 16 - 56 - 16 - 12 - 58 - 1236 - 5. 26J. Ouse (l) - 56 - 14 - 56 - 36 - 14 - 58 - 14 - 7. 27J. Fowlmere (mx) - 56 - 14 - 56 - 36 - 34 - 58 - 1256 - 1. 28J. Holmwood (a) - 56 - 14 - 56 - 38 - 14 - 1458 - 16 - 5. 29J. Hurworth (d) - 56 - 14 - 56 - 38 - 14 - 58 - 1236 - 7. 30J. Zuider Zee (j) - 56 - 14 - 56 - 38 - 14 - 58 - 1236 - 7. 31J. St. Ives (d) - 56 - 14 - 56 - 38 - 14 - 58.12.36.12.7. 32J. Wendy (mx) - 56 - 14 - 56 - 38 - 34 - 1238 - 34 - 1. 33J. Bar Hill (l) - 56 - 14 - 56 - 38.14 - 14.58.12 - 12.5. 34J. Maidenhead (h) - 56 - 1456 - 56 - 36 - 14 - 58 - 16 - 5. 35J. Queen Adelaide (mx) - 58 - 14 - 12 - 36 - 14 - 1458 - 14 - 3. 36J. Barry (mx) - 58 - 14 - 12 - 36 - 14 - 58.14 - 34.1. 37J. Grahamston (d) - 58 - 14 - 56 - 36 - 14 - 58 - 1236 - 7. 38J. Brompton (mx) - 58 - 14.58 - 58.16.34 - 12.58 - 12 - 3. 39J. Valleymount (d) - 58 - 16 - 56 - 36 - 14 - 38 - 36.14.7. 40J. Notting Hill (c) - 58 - 16 - 56 - 38 - 14 - 1258 - 16 - 7. 41J. Danesburgh (b) - 58 - 16 - 58 - 16 - 12 - 1238 - 14 - 7. 42J. Carey (b) - 58 - 16 - 58 - 36 - 14 - 3458.12.36.12.7. 43J. Chanctonbury (b) - 58 - 16 - 58 - 36 - 14 - 38.56 - 56.7. 44J. Heather (f) 34 - 38.14 - 12 - 38.14 - 14.58.14 - 16.7. 45J. Nettleworth (a) 34 - 58.16 - 56 - 38.14 - 14.58.14 - 14.5. 46J. Tarling (d) 34.56.38.16.58.12 - 36.12 - 14.38.16 - 16.7. 47J. Bolsterstone (mx) 34.58 - 14.58 - 58.36.14 - 14.58 - 14 - 1. 48J. Surprise (b) 38 - 38.14 - 12 - 38.14 - 14.38.16 - 34.1. 49J. Brockley (b) 38 - 56.14 - 56 - 16 - 14 - 58.34 - 16.5. 50J. Thorner (a) 38 - 56.14 - 56 - 38.14 - 14.58.14 - 14.5. 51J. Sapcote (f) 56 - 56.14.56 - 56.38 - 14 - 58 - 14 - 5. 52J. Booze (f) 58.34 - 14 - 58 - 38.14 - 14.58 - 14 - 5. 53J. Headingley (mx) 34 - 58.16 - 56 - 38 - 12 - 16. 54J. Norwich (mx) - 34 - 14 - 12 - 30 - 34 - 30 - 34 - 30 - 34 - 1. 55J. Zelah (b) - 30 - 14 - 1250 - 36 - 3470 - 1458 - 56 - 1670 - 18 - 9. 56J. Alloa (b) - 30 - 14 - 56 - 16 - 34 - 1230 - 16 - 50 - 16 - 5. 57J. Worthington (b) - 30 - 14 - 50 - 16 - 1278 - 38 - 14 - 50 - 16 - 5. 58J. XXV (b) - 30 - 14 - 50 - 16 - 70 - 18 - 14 - 50 - 36.78.9. 59J. Worcester (mx) - 50 - 14.50 - 50.36.14 - 14.50 - 14 - 70 - 78 - 1. 60J. Gorbals (g) 36 - 56.14.50 - 50.36 - 14 - 30.16 - 16.50 - 14.38.1. 61J. Loughborough (mx) - 50 - 14.50 - 50.36.14 - 34.50 - 34 - 18. 62J. Huddersfield (b) 36 - 56.14.50 - 50.36 - 14 - 30.16 - 16.38. 63J. Lincoln (b) 30 - 30.14 - 12 - 30 - 12 - 36. 64J. Cornhill (f) 3T - 3T.14.5T.12.5T.36.14 - 14.3T.56 - 16.5T.16 - 18.9T.30 - 30.9. 65J. Hughenden (c) 3T - 5T.14 - 12 - 3T - 14 - 5T.14 - 14.5T.14 - 14.5T.14 - 14.5. 66J. Huddersfield (b) 36 - 56.14.5T - 5T.36 - 14 - 3T.16 - 16.38. Athelstan 8 - 1 - 72 Malmesbury 22J. Bar Hill 1 - 9 - 72 Meldreth 33J. Barry 28 -10 - 72 Ashdon 36J. Bellfoundry 22 - 8 - 72 Loughborough Bellfoundry 19J. Benenden 1 -10 - 72 Benenden 17J. Bolsterstone 29 - 1 - 72 Bolsterstone 47J. Booze 21 - 1 - 72 Bristol Cathedral 52J. Bourn 31 -12 - 72 Bourn 20J. Brockley Rung in Spliced 49J. Brompton 23 -12 - 72 Sprotborough 38J. Buckland 1 - 1 - 72 Buckland 12F. Carey 30 -12 - 72 Moulton 42J. Chanctonbury 26 - 8 - 72 Arundel 43J. Chequerbent 19 - 8 - 72 Walkden 4J. Danesburgh 11 -11 - 72 Desborough 41J. Dry Drayton 17 -12 - 72 St. Andrew-the-Great, Cambridge 12J. Exminster 18 - 4 - 72 Lower Beeding 83C. Fowlmere 24 - 6 - 72 Totternhoe 27J. Godmanchester 29 - 4 - 72 Godmanchester 9J. Grahamston 27 - 5 - 72 Pinner 37J. Hayes 9 - 9 - 72 Hayes, Middlesex 23J. Headingley Little 20 - 5 - 72 Guiseley 53J. Heather 15 - 1 - 72 St. Ambrose, Bristol 44J. Holmwood 19 - 2 - 72 Meldreth 28J. Huntsham 23 - 6 - 72 Bristol Cathedral 5J. Hurworth 15 - 4 - 72 Meldreth 29J. Iveshead 30 - 8 - 72 Measham 18J. Jerusalem 2 -12 - 72 St. Lawrence, Jewry 13J. Kniveton 17 - 2 - 72 Warsop 16J. Knowl Hill 31 -12 - 72 Heywood 25J. Longstanton 10 - 6 - 72 Longstanton 10J. Maidenhead 7 - 7 - 72 Meldreth 34J. Nettleworth 19 - 2 - 72 Warsop 45J. Notting Hill 4 - 3 - 72 Clanfield 40J. Ouse 12 - 5 - 72 Meldreth 26J. Pitmaston 20 - 8 - 72 Charlton Horethorne 8J. Portsea 19 - 8 - 72 Portsea 6J. Prestbury 1 - 5 - 72 Warnham 72C. Queen Adelaide 14 - 1 - 72 Meldreth 35J. Rock 18 - 3 - 72 Longney 7J. Rushmoor Rung in Spliced 2J. St. Edmund 3 - 6 - 72 St. Edmund, Northampton 14J. St. Ives 30 - 9 - 72 St. Ives 31J. St. Michael the Archangel 28 - 9 - 72 Highclere 21J. Sapcote 26 - 2 - 72 Sapcote 51J. Sawston 17 - 6 - 72 Sawston 3J. Six Mile Bottom 28 - 1 - 72 Meldreth 11J. Surprise 22 - 9 - 72 Bristol Cathedral 48J. Tarling 5 - 6 - 72 Terling 46J. Thorner 5 - 2 - 72 Thorner 50J. Upchurch 3 - 6 - 72 Benington 15J. Valleymount 13 - 3 - 72 Birstwith 39J. Wankie 10 - 6 - 72 Hart Street, London, E.C. 1J. Wendy 28 - 4 - 72 Meldreth 32J. Yorkhouse Rung in Spliced 24J. Zuider Zee 20 - 5 - 72 Haselbech 30J. Alloa 25 -11 - 72 Soham 56J. Gorbals 29 - 1 - 72 St. Mary, Southampton 60J. Huddersfield Little 8 - 4 - 72 Banbury 62J. Lincoln Little 20 - 8 - 72 Wymondham 63J. Loughborough Little 11 -11 - 72 All Saints, Loughborough 61J. Norwich 11 -12 - 72 Isleworth 54J. Worcester 4 -11 - 72 St. Peter, St. Albans 59J. Worthington 30 - 9 - 72 Slough 57J. XXV 20 -11 - 72 St. Michael, Southampton 58J. Zelah 17 - 6 - 72 Thatcham 55J. Christchurch 11 -11- 72 Christchurch 113G. Cornhill 8 - 1- 72 Reading 64J. Huddersfield Little 8 - 6- 72 Birmingham Cathedral 66J. Hughenden 9 - 3- 72 Birmingham Cathedral 65J. Moorgate 22 - 4- 72 Birmingham Cathedral 150G. Trowbridge 25 -11- 72 Walsall 124G. Wensleydale 25 - 3- 72 Solihull 114G.